Mrs. America Abbitt, 82 years 4 months and 19 days old, expired at 10:45 a.m. Monday at the home of her daughter, Mrs. F. S. Artman in Union Township. She had been ill for ten days. Rheumatism of the heart was the cause of her demise. Mrs. Abbitt was born in Marion County, Ind. She was married in Boone County in August, 1844, to the late John Wesley Abbitt, who died Nov. 5, 1895. The children surviving are; Mrs. Indiana Smith, Mrs. Josephine Good, John W. Abbitt, Mrs. Martha McRoberts, Columbus M. Abbitt, Mrs. Lavina Kolb, Mrs. Louretta Artman, George S. and James E. Abbitt. The following children are deceased; Mary and Elizabeth Abbitt, Mrs. Bethsheba King, Mrs. Letithia Shoemaker, Mrs. Phoebe Stark. Two brothers, Columbus Sedwick of Rosston, and William Sedwick of Lebanon, and one sister, Sydney Sedwick, of Rosston, are living. The funeral will be held at Mts. Run Church at 2 p.m. Wednesday, the Rev. E. A. Williams officiating. Interment will be in Mts. Run Cemetery. Chester C. Abbitt, 64, died Thursday at his farm home on Route 1, Zionsville, where he had resided his entire life. He was born in Union Township, August 29, 1898, the son of Columbus M. and Anna (Tweedy) Abbitt. On March 7, 1928, he was married to Mary Hamilton, who survives. Also surviving are two sons, Marion and Meredith, Zionsville, two grandchildren; three sisters, Mrs. Zella Kanis, rural New Augusta, Mrs. Laura DeLong, Zionsville and Miss Edith Abbitt, Indianapolis. Mr. Abbitt was a member of the Mounts Runn Baptist Church and the Zion Lodge F & AM. He had been a farmer all his life. Funeral services will be Sunday at 2:30 p.m. in the Flanner and Buchanan Zionsville Mortuary, with burial in Mts. Runn Cemetery. The Rev. Ernest Essex will officiate. Friends may call after 7 p.m. today, at the mortuary. Justin C. Adair, aged Veedersburg resident, who was injured on Tuesday, August 23, by a car as he crossed Second street in Veedersburg, died at the Lake View hospital, Friday morning. Mr. Adair, carrying some boxes in his arms, was crossing the street when a car driven by Charles Munns of Waynetown, approached. Adair evidently did not see the machine for he stepped into the side of it. He was thrown to the pavement, suffering a skull fracture. He was carried in an unconscious condition to the office of Dr. C. B. McCord. He was rushed to the Lake View hospital and failed to regain consciousness. His condition was reported slightly improved last Thursday and it was thought he might recover. Mr. Adair was 73 years of age, having been born in Boone county on August 5, 1865, the son of Isaac and Lydia Adney Adair. For the past twenty years he has resided in Veedersburg where he followed the carpenter trade until ill health caused his retirement. He was married to Miss Effie Booe. She and the following children are survivors: Virgil and Otis, Mrs. Ossia Streator and Mrs. Lydia Rhodes, all of Veedersburg. A sister, Mrs. Minnie Wells, is a survival [sic]. Funeral services were held Sunday afternoon at 1 o'clock at the Nazarene church with the Rev. S. E. Northstine, pastor, officiating. Interment was made in the cemetery at Thorntown, where the deceased spent his early life. grandchildren; one sister, Mrs. Minnie Wells, Muncie, Indiana, and several nieces and nephews. Father mother, one sister and two brothers preceded him in death. The earlier part of his life was spent in Thorntown, Indiana, engaged in the milling business. Then later he moved his family to Veedersburg and worked as a carpenter and at various other trades. The last few years he hadn't been able to do any work due to ill health. He was a very familiar figure on the streets., He leaves a host of friends and neighbors to mourn his death. Claude L. AIRHART, 51, son of Rev. C. L. Airhart of New Market died Saturday Jan 10 at the Veteran hospital in Los Angeles. He was born at Advance, Indiana and spent his youth in Greencastle, Indiana. Survivors are the father Rev Cornelius L. Airhart of New Market, two sisters Mrs. Blanche Jackson of North Salem, Indiana, Mrs. Mamie Tate of Indianapolis, a brother Paul Airhart of New Jersey. He was preceded in death by a brother Jessie Airhart and an infant sister. Funeral services were held in Los Angeles. The father is past 92. Repository: Crawfordsville District Public Library. New Market -- Rev. Cornelius L. Airhart, 95, veteran minister who began his career in the pulpit at the age of 21 in 1881 and who had served churches in Boone, Montgomery, Parke and Putnam counties, died Thursday at 3:50 p.m. at his home here. He became ill last month and death resulted from complications. Rev. Airhart was ordained on May 30, 1885. He was active in the ministry until two years ago, serving as pastor of the Browns Valley Primitive Baptist Church of which he was also a member. In addition to his long service with the church, he held political office on two occasions, serving as a representative to the Indiana legislature from Boone County in 1901 and an auditor of Putnam county from 1910 to 1914. Rev. Airhart was a member of the Odd Fellows and Masonic Lodge. Born Sept 10, 1860 near Advance in Boone County, he was the son of Henry and Mary Galliday Airhart. He was first married in Boone County in 1882 to Adda May Canine and was later married in Montgomery County to Evelyn VanCleave in 1911. Surviving are his wife; two daughters, Mayme Tate of Cortez, Fla; and Mrs. Blanche Jackson of North Salem; a son, Paul of Union, NJ: 8 living grandchildren; 8 great grandchildren; 12 great great grandchildren and several nieces and nephews. Two sons, Claude and Jesse and a daughter, Maude preceded him in death. Funeral services will be held Sunday, Jan 15 at 2 p.m. from the Noble Reeves Funeral Home with burial in Pisgah Cemetery in Boone County. Rev. Cornelius L. AIRHART, 95, died Thursday Jan 12, 1956 at New Market, Indiana. Born September 10, 1860 near Advance, Boone County, Indiana son of Henry and Mary Goliday Airhart. He married first in Boone County to Adda May Canine. He married 2nd in Montgomery County to Evelyn Vancleave in 1911. Survivors are the wife, two daughters, Mayme Tate of Cortez, Fl; Mrs. Blanch Jackson of North Salem, son Paul of Union, NJ; 8 grandchildren, 12 great. Two sons, Claude and Jesse and daughter Maude preceded him in death. Burial in Pisgah Cemetery, Boone County, Indiana [sic]. Rev. Airhart began his career in the pulpit at age 21 in 1881 and served churches in Boone, Montgomery, Parke and Putnam Counties. Funeral services for Mrs. Anna B. Albert, 85, who died early Sunday at the home of her daughter, Mrs. Bert Gallagher, here were held Tuesday at 2:30 P. M. at the Church of Christ. Rev. John McKee officiated. Burial was in Brandon cemetery. Mrs. Albert's death was attributed to heart trouble. Deceased was born July 14, 1851 in Lubbon [sic - Lebanon? ], Boone county, Indiana, daughter of William and Sarah Engel Primmer, pioneers who came from Tennessee to Indiana in a covered wagon. She was married to Jacob Albert, September 8, 1868 in Vinton. He died on March 27, 1919. Mrs. Albert was a member of the Church of Christ and the W.R.C. Surviving is the one daughter Mrs. Bert Gallagher of Brandon, six grandchildren and 11 great grandchildren. Four children preceded her in death. Lebanon, July 15 -- Thomas F. Allen, 66, widely known throughout the state as a horse buyer, died suddenly here yesterday of apoplexy. Allen is survived by a wife and two children. Dr. Edwin Hatfield Anderson, director emeritus of The New York Public Library died Tuesday night in Evanston, Ill., where he was visiting a daughter, Mrs. A. James Behrendt, according to word received here yesterday. His age was 86. A distinguished scholar as well as librarian, Dr. Anderson was director of the library here for twenty-one years until his retirement in 1934. Of late he had lived at Williamsburg, Va. Under Dr. Anderson the public library made great strides in the promotion of learning in general, the professional education of librarians and the increase in the volume of books lent to the public. The number of branches and of books in the main building and branches increased greatly during the Anderson administration, as did the number of visits by the, public to the various buildings. The main library at Forty-second Street and Fifth Avenue, opened two years before he became a director in 1913, was visited yearly just before his retirement by from 4,000,000 to 5,000,000 persons and the branches by many millions more Books issued annually by the library’s circulation department at that time numbered more than 10,000,000 and reference volumes consulted annually totaled over 4,000,000. One of Dr. Anderson's contributions was his appointing to the library staff able librarians who were also scholars, in contrast to the custom of some head librarians in other cities of appointing persons who were primarily scholars and were unfamiliar with library procedure. His ability to select and train personnel was so outstanding that he trained many presidents of the American Library Association. He himself was a former president of that body. Dr. Anderson organized the Library School of the New York Public Library and played a major part in its consolidation with the New York State Library School to form the Columbia School of Library Service in 1926. He was largely responsible for the formation of the staff of the reference department of the library here. Born in Zionsville, Ind., son of Philander and Emma A. Duzan Anderson, he was graduated with an A. B. degree from Wabash College in 1883. He held honorary degrees of M.A. and Litt. D. from Columbia University, honorary L. H. Ds from Wabash and New York University and an honorary Litt. D. from Carnegie Institute of Technology. Dr. Anderson studied in the New York State Library School and worked as a cataloguer in the Newberry Library, Chicago, before he became librarian of the Carnegie Free Library, Braddock, Pa., in which post he served in 1892-95. In the latter year he organized the Carnegie Free Library of Pittsburgh, and he remained as its director for nine years. On the day of the library's opening, with 8,000 volumes, he had a catalogue in book form listing everything on the shelves. His achievements in Pittsburgh included the extension of the institution through many branches and the planning of the buildings for the comfort of readers. He designed many of the furnishings and arrangements himself, working with architects, and he carried on this policy in New York in the building of branches and the interior fittings of the main building. Under his direction the Carnegie Library in Pittsburgh became the model for libraries in many other cities. He gave up library work in 1904 to become superintendent of some Missouri zinc mine properties for a year. He returned to library work in 190G as director of the New York State Library and its Library School and in 1908 became assistant director of the New York Public Library. Dr. Anderson was the recipient in 1927 of the Order of the White Lion from the late Thomas G. Masaryk, then President of Czechoslovakia, for public service. He was a former president of the Keystone State and New York State Library Associations and the New York Library Club. Upon his retirement in 1934, Dr. Anderson was praised by the late Frank Polk, then president of the board of trustees of the local library, for having “administered the institution most ably.” He had been a member of the Century Club here. Besides his daughter, he leaves a widow, Mrs. Frances R. Plummer Anderson, and another daughter, Mrs. John W. Green Jr. of Danbury, Conn.
Mrs. Lucinda Catherine APPLE, wife of M. M. APPLE, whose home is near Poplar Grove, died at the Deconess [sic?] Hospital at Indianapolis Monday night as a result of an operation which she had undergone to have cancer removed. The operation was performed Saturday about noon. The body was brought to Lizton [Hendricks County, Indiana] Tuesday morning and removed to the home of the husband by Undertaker Smith, of this place [Jamestown, Boone County, Indiana] The deceased was the daughter of the late Milton YOUNG and was 39 years and 11 months old. Funeral services were held at the Old Union Wednesday afternoon conducted by Rev. Carney, after which the remains were interred in the Old Union Cemetery. As The Thorntown Times goes to press, we learn of the death of Isaac Armstrong, father of F. N. Armstrong, which occurred about eight o’clock. His death was due to the infirmities of old age, he being 84 at the time of his death. He had walked with the aged companion he leaves for sixty-two years. Throughout all his life he was a moral and upright man and led a good life. He was a life-long Presbyterian and a faithful consistent working member. The Funeral will be held from the residence Saturday morning at 9:30 and interment at the Colfax Cemetery. Thomas H. Armstrong died at his home, one mile east of Lizton, 22 December. He had been complaining for several months, but was confined to his house for only about two weeks. He leaves a wife and a six month old baby, besides mother, brothers and sisters. Thomas was born 16 November 1876; married 19 September 1897. Funeral services were held at the Methodist Church, conducted by Rev. C. E. BeeBee; burial in the cemetery at the church. Abraham “Abe” Artman, age 80 years, former Boone County schoolteacher and for many years connected with the T. H. I. And E. Tractor Company passed away this morning at 9:40 o’clock at his home, 425 West Walnut Street. He had been bedfast the last seventeen weeks and his death was caused by a complication of ailments. Mr. Artman was born in Marion County, a son of Joseph and Elizabeth (Dunlap) Artman, both natives of Pennsylvania. He was married in Boone County, June 9, 1883, to Mary Luella Moulton, who died September 22, 1933. He spent most of his life in Boone County where he was well and favorably known. He taught school in Union and Marion Townships eight years, farmed twelve years and was employed twenty-seven years by the T. H. I. And E. Traction Company, until the line was discontinued. He was a member of the Central Christian Church and the Royal Neighbors Order. Survivors are four children, Mrs. Minnie Elizabeth Martin of near Lebanon, Mrs. Lacie Davis of Lebanon, Alta N. Artman of Big Springs and William J. Artman of Indianapolis, a brother, Francis Artman of Rosston, twelve grandchildren; a great grandchild, and a daughter-in-law, Mrs. Merle Artman, who with her children, had made her home with Mr. Artman since 1932. Three brothers, William Artman, Eli Artman and Judge Samuel R. Artman; four sisters, Mrs. Rosanna Hancock, Miss Amanda Artman, Mrs. Sarah Davis and Miss Mary Artman, and five children are deceased. Funeral services will be held at the Lawler Funeral Home Friday afternoon at two o’clock with the Rev. C. H. Barnett officiating, assisted by Rev. Richard W. Moore, burial will be in Oak Hill Cemetery. The body will be removed Thursday morning from the Lawler Funeral Home to the residence, 425 East Walnut Street, where friends may call until noon Friday when it will be returned to the funeral home for services. Mrs. Ada A. Artman, widow old Judge Samuel A. Artman, and a member of a prominent Boone County family, passed away at her home in Country Club Park (Ulen Country Club) this afternoon at 2:30 o'clock, following an extended illness. She was stricken with a heart attack at her apartment in the Columbia Club, Indianapolis, about the middle of January and she was removed to the Methodist Hospital for treatment. On February 2, she was brought to the Witham Hospital and a few weeks ago was taken to her home in Country Club Park. Mrs. Artman was a traveler, lecturer and poet and she was founder, lecturer and honorary President of the International Travel and Study Club of Indianapolis, which has approximately 1,000 members in it's forty chapters. She was also President of a Rescue Home in Indianapolis at the time of her death. She was one of the representatives of the 15,000,000 members of the National Council of Women in the United States, to the World's International Quinquenuial in Norway, touring in a special train, nearly every country in Europe. She also represented the National Council of the United States of America at the Brazil expedition at Rio de Janeiro and the National Council of Argentine, Chile, Uruguay, Brazil and many European Councils. Mrs. Artman was born in Marion Township, Boone County, May 31, 1868, the daughter of Captain Thomas A. and Julia Cobb. She lived on the farm and went to common school near her father's home. After completing her common school courses, she attended high school at Westfield, Indiana. She taught school in Marion Township, near her old home for two years. She was married May 1, 1889, to Samuel A. Artman, who later served as judge of the Boone County Circuit Court. Judge Artman passed away June 7, 1930. After her marriage, she took up her residence in Lebanon. A son, Thomas B. Artman, was born February 26, 1890, and passed away at the home, on August 13, 1910, while in his senior year at Indiana University. Mrs. Artman was active in church and social circles while in Lebanon. She was a member of the Central Christian Church, where she taught a Sunday school class for many years, later transferring her membership to the Third Christian Church at Indianapolis and she taught a large class of girls. In 1928, Judge Artman built a home in Country Club Park, to which they moved from Indianapolis. Mrs. Artman, while living in Lebanon, retained her interest in her club life in Indianapolis, residing there in the winter and making her home in Country Club Park in the summer months. Among her literary works are two books "Glimpses of the Sunny South," published in 1903, and "Flower in the Rain," published in 1931. Survivors are three sisters, Mrs. William D. Lane, a twin sister who resides in Lebanon; Mrs. Frank O. Staton, of near Lebanon and Mrs. Rush Cash of Lebanon, and a brother, George M. Cobb of Evanston, Illinois. One brother, Thomas A. Cobb Jr., is deceased. Funeral services for Mrs. Samuel R. Artman, who passed away at her home in Country Club Park, Friday, following a several months illness, will be held at the residence Sunday afternoon at two o'clock. The Rev. Carl H. Barnett, Pastor of the Central Christian Church, will officiate and burial will be in Oak Hill Cemetery. The body was removed from the Lawler Funeral Home, to the residence this afternoon. Mrs. Ocie Higgins Jencks will sing favorite hymns of Mrs. Artman. The flower bearers will be selected from the membership of the International Travel and Study Club of Indianapolis. Mrs. Artman was organizer, lecturer and honorary life president of the club. The pallbearers will be Dr. W. H. Green, William H. Smith, Charles Higbee, Clark Lindsey, William Means, H. P. New and Henry C. Ulen of Lebanon, and Emmett Ralston of Indianapolis. Mrs. Mary Artman, a life long resident of Boone County, wife of William A. Artman, died at 11 a.m. Wednesday, September 13, 1933, at the residence in Union Township, at the age of 72 years, 8 months and 2 days. She had been failing for a year or more with heart and stomach trouble, but had been bedfast only two weeks. Mrs. Artman was born in Boone County, Indiana, January 12, 1856, and was on January 12, 1873, married to William A. Artman, who survives. There are also surviving five children; Mrs. Dollie Ortwein of Hamilton County, Mrs. Sarah A. Harshbarger of Union Township, Mrs. Mollie Brown of near Brownsburg, Roy and Frank Artman, who reside on the home farm. Two children died in infancy. There are two brothers, Henry Woodruff of Hamilton County, and George Woodruff of Indianapolis, and three sisters, Mrs. Rena Robison of Deputy, Mrs. Isabelle Edwards of Lafayette and Mrs. Flora Hobson of near Westfield. The funeral will be conducted at the Mounts Run Church at 10:30 Friday morning. Burial will be at Mounts Run Cemetery. Roy Artman, 87, Route 1, Whitestown, well-known Boone County farmer, died Tuesday at St. Vincent Hospital in Indianapolis following a three-week illness. Artman had farmed his entire life and lived on the same farm in Union Township for over 50 years. In 1970 he received the Old Timers Award for service to Agriculture and his community at the annual Boone Feeders and Breeders Banquet. Born in Union Township September 20, 1887, he was the son of William and Mary (Woodruff) Artman. He was married September 10, 1915 in Paris, Ill., to Luna Akers, who survives. The couple would have celebrated its 60th wedding anniversary this year. Artman attended Union Township schools when a young boy and remained in the area where he was recognized and respected by his peers as well as leaders in the agriculture industry who sought his advice and wise counseling. He was a member of the Northdfield Community Church. Surviving in addition to the wife are three children including Mrs. Richard (Mary) Chapman of Bringhurst, John and Joe Artman, both of Route 1, Whitestown; 12 grandchildren; 19 great grandchildren and three step great grandchildren. A son, Roy Artman Jr., of Noblesville, died in 1974 and a brother, Frank Artman is deceased. Also three sisters preceded him in death. Last rites have been arranged for 1:30 p.m. Thursday at the Russell and Hitch Funeral Home in Lebanon with interment following in Oak Hill Cemetery. Officiating will be Elder Sherman Essex and W. W. Shields. Friends are being received at the funeral home beginning 3 p.m. today. Details of the fall were lacking this afternoon. Mr. Artman was alone in the house at the time, Mrs. Artman being at Indianapolis. He crawled through a bathroom window out on the porch roof intently to make repairs on the roof. Standing near the edge of the porch covering, he apparently lost his balance and fell head first. Frank Dunn, Zionsville Banker, witnessed the fall from the Ulen Country Club and summoning others, ran to the scene and helped carry the injured man into the house and called for an ambulance. Mrs. Artman was reached at Indianapolis and notified of her husband’s condition . She reached here a short time after the accident. Few natives of Boone County have gained more prominence in the state and nation than Judge Artman. For a number of years he was chairman of the Indiana Industrial Board, resigning to become a member of the Indiana Public Service Commission. After holding that post for a short time he resigned and was reappointed chairman of the Industrial Board. Later he resigned again because of poor health, and about two years ago built a beautiful home in Country Club Park where he and Mrs. Artman have since resided. He practiced law in Lebanon and Indianapolis and served one term as Judge of the Boone Circuit Court.. An opinion rendered in a liquor case while he was judge of the local court gained nation-wide prominence for him. Death is always sad when it takes the aged, the grief of bereaved relatives and friends is in a measure mitigated by the knowledge that life has run its allotted span and that the final dissolution has come as the natural result of accumulated yeas. But, when it lays its remorseless hands upon one who has not yet reached maturity, when it blots out the youthful dreams and ideals which are nearing fruition, when it claims a bright mind a career of promise, the great heart of the community is touched with the keenest sorrow and regret. And when that youth is an only child in whose development the fond hopes of parents are centered, the grief is intensified a hundred fold. And thus it is that no death that has occurred for so long time has occasioned so universal sorrow as that of Thomas B. Artman, who passed away Saturday afternoon at 4:15 o’clock at the home of his parents, Judge and Mrs. S. R. Artman, 1933 North New Jersey Street, Indianapolis. Lebanon people have watched with sympathetic interest his brave fight against the encroachments of the dread disease of typhoid fever and they have hoped against hope that he could win the battle. The news of his death while not unexpected came as a shock. For over two weeks Mr. Artman has struggled against the disease, which he contracted at Bloomington, while attending summer school at Indiana University. In his fight he has been aided by the best medical skill and the most careful nursing it was possible to obtain. But the disease was of too vibrant a type to be overcome and although he made several rallies which brought temporary hope to the anxious hearts that hovered constantly over his bedside, he was finally forced to surrender to the inevitable. His death removes from the walks of life a youth of great promise. He was an Indefatigable student and had made a splendid record in both high school and college. He graduated from the Lebanon High School two years ago and then entered Wabash College. He had expected to secure his degree from the Crawfordsville institution of higher learning next June, completing the four years’ course in three years. His work at Indiana University summer school was for the purpose of aiding him in attaining that end. He was popular in college and was one of the prominent members of the Sigma Chi fraternity. He was president of his class and was recognized as one of the best students in the college. Besides his regular work in college, he has devoted much of his spare time in acquiring a musical education. His interest in music began in his boyhood and his instruction had been under the best talent available here and in Indianapolis. He became quite proficient as a vocalist and during the later years of his life sang in church quartets here and in Crawfordsville. During his college course he had been connected with the musical organizations of the school and for the coming year he had been elected director of the Wabash Glee Club. Mr. Artman was born and raised in Lebanon and had resided here up to about two years ago when his parents moved to Indianapolis. He was Twenty years old Funeral services will be held Tuesday both in Indianapolis and in Lebanon. The services at 10:30 a.m. at the Artman home in Indianapolis will be short and will be in charge of the Rev. A. B. Philputt, pastor of the Central Christian Church of this city. The principal service will be in the Centenary Methodist Church in this city at 2:30 p.m. Tuesday, the Rev. Demetrius Tilloston, of Lafayette and the Rev. L. E. Brown of this city, officiating. College fraternity brothers of Mr. Artman will be the pallbearers. A ten day illness with heart trouble proved fatal to William A. Artman, 79 years old, who expired at his home, 421 East Walnut Street at 2 o’clock this morning. Mr. Artman came to Boone County with his parents when he was fourteen years of age and until moving to Lebanon a few years ago, he spent his life in Union Township of Boone County. He was the brother of the Late Samuel Artman of this city. He was a member of the Baptist Church at Mts. Run. Brief rites will be held at the residence at 1:30 o’clock Tuesday afternoon with the Rev. E. A. Williams of Whitestown officiating, with burial in Mts. Run Cemetery. Mr. Artman was born December 11, 1854 in Indiana County, Pennsylvania, the son of Mr. And Mrs. Joseph Artman. He was twice married, first in Boone County to Mary Ellen Woodruff, who passed away September 13, 1922, and the second in Lebanon October 14, 1927, to Mrs. Emma Rader, who survives. He leaves besides the widow five children, Mrs. Olive Ortwein of Westfield, Mrs. Sarah Harshbarger of near Fairview, Mrs. Mollie Brown of Brownsburg and Roy and Frank Artman, both of Rosston, twenty grandchildren, twenty-three great grandchildren, two brothers, Francis Artman of Union Township and Abram Artman of Lebanon, and two sisters, Mrs. Roseanna Hancock and Miss Mary Artman both of near Mts. Run. Two brothers, Samuel Artman and Eli Artman and two sisters, Mrs. Sarah Davis and Miss Amanda Artman, preceded him in death. Mary E. ASHWELL was born in Bedford County, Virginia, 9 May 1840; was married to Wm. H. ZIMMERMAN 23 January 1860; moved to in December, 1869. To the union were born ten children, two of whom preceded her to the great beyond, leaving eight , with a kind husband, twelve grandchildren and a host of friends to mourn their bereavement. She was a kind and loving mother and companion. She united with the M. E. Church when 14 years of age and ever lived consistently therewith and was a true Christian until death. He last and most consoling message to her dearest ones and friends was ; Weep not, dear children and father and friends, for me. For I am at rest. The angels are over me. We are a holy band with the angels around us stand. Solon Atkinson died at his home five miles northeast of Lebanon, at an early hour last Thursday morning. The deceased was a graduate of Louisville Medical College, and on account of weakness of the eyesight did not undertake the practice of medicine, but confined himself to the farm. he was a recognized man of high attainments and made friends with all who knew him. His sensational death is a blow to the community where he lives. Funeral was held at the Christian Church at Elizaville. Mrs. Catherine E. (HUFFMAN) Austin, mother of Dr. F. H. Austin and Mrs. C. E. Young of Jamestown, died at her home in Thorntown, Tuesday morning, from complications of pleurisy and grip. She was confined to her bed about a week. Her age was near 65 years. She leaves three living children, two sons and one daughter, to mourn the bereavement of a mother. Harry lived with her at Thorntown. Her husband - Abner Austin - preceded her to the great beyond three years ago. She had been a highly respected resident of Thorntown for 30 years, and was an active member of the Presbyterian Church there and a zealous and active member of the Christian Temperance Union. She leaves many friends. Burial took place at the I.O.O.F. cemetery of Jamestown, Wednesday, at three o'clock, attended by her children and their husbands and wives, her brothers Rev. H. O. Huffman of Bloomington, Illinois and Charles Huffman of Crawfordsville; her aunt Mrs. I. E. G. Naylor, and niece, Miss Minnie McKnight - of Crawfordsville, and several people of Jamestown and vicinity. Funeral services were at Thorntown, and the roads being so fearfully rough and the distance so far none could attend the burial from there. Last Saturday morning about 10:30 o'clock Dr. Austin was found dead in his office in Jamestown. Late Friday night the doctor was called out and upon leaving home told his wife he would not be back but would sleep at the office after making his call. About 12:30 o'clock that night he called J. R. Clore by telephone and bade him dress and go to the store where the doctor purchased some blankets. When found the next morning the doctor was using the blankets on his bed in the office. Night watchman John Adair saw a light in the office as late as 3 a.m. but thought Dr. Austin had a patient. It is suppose that the doctor was suffering with bowel trouble and was seeking relief by external applications of lotions, as when found he had a cloth across his bowels which he had placed there to keep the machine he had been using off his undergarments. Coroner Smith was called and investigated and gave it as his opinion that death was due to organic heart trouble which he had been suffering for some time. Dr. F. H. Austin was born in Crawfordsville, Indiana, 6 June 1859. When two years of age he moved with his parents to Darlington, but after a few years residence there his parents moved to Thorntown. He completed the public school work at his place in what is now known as Thorntown Academy. At the age of sixteen he learned the printers trade, and continued to work at this trade for twelve years. He then began the study of medicine under Dr. W. F. Curryer of Thorntown, graduating with highest honors from the Eclectic College of medicine at Indianapolis on 15 March 1885. He began the practice of his profession at North Salem, Indiana, but after nine months practice at that place located at Jamestown on 1 January 1880, where he resided until his death, which occurred 26 march 1904, being that time 44 years 9 months 20 days old. He was married to Nannie Cassity of Jamestown on 1 November 1886, two children, a daughter, Mora, aged 16, and a son, Hunter, aged 9, together with the widow, survive the deceased. He became a member of the Presbyterian Church when he was twelve years old, but shortly after locating at Jamestown united with the Christian Church. He was also a leading member of the I.O.O.F., K.of P., Tribe of Ben Hur, and Modern Woodsmen fraternities, being at the time of his death one of the trustees of the first named order, scribe. Treasure and medical examiner of the Tribe of Ben Hur. He was identified with every movement for the betterment and uplifting of the community, speaking his convictions fearlessly and on any proposition that presented itself. Dr. Austin was a man too well known for words to portray the high esteem in which he was held be the people among who he has lived during his professional carrier. As a husband and father he was ever ready to supply every want that money could purchase. In his death his family has lost a true friend, the community a useful man, and the state an honored citizen. Funeral services were held at the Christian Church, Monday, at 2:30 P.M., being conducted by Revs. Jordan, Ashley and Daughterty and Elder Martin. By common consent all business houses of the town were closed during the funeral and it was noticeable feature that people from every station in life came to pay their tribute of respect. Interment at the I.O.O.F. cemetery, under the direction of the above named orders. Dr. Austin was a son of the late Abner V. Austin of Thorntown and a brother of Mrs. Chas. Young of this place. The relatives in attendance from out of state were: Mr. I. T. Shockley and Mrs. Stanford Shockley of Columbia, Mo. Mr. and Mrs. Charles Huffman, Mrs. Hattie Vance, Mrs. Calista Naylor, Mrs. Ella Howard, Mr. and Mrs. Dr. Ensminger, Mrs Harriet Campbell, Mr. Hal Ensminger, Mr. Will Amhurst, Mrs. Minnie Mc Knight and Mr. and Mrs. Will Sidenor of Crawfordsville; and rev. W. H. Ashley and mother of Lebanon. John BAIRD died Saturday night at 10 o'clock at his home 4 miles south of Thorntown, his demise due to diabetes. Deceased was born Dec 20, 1842 and was therefore 73 Years 18 days. He was a member of the Presbyterian Church at Thorntown. Besides his wife, Sarah Phares Baird, he is survived by three sons, Joseph and Homer at home and Fernando resident at Lapel, Indiana. Funeral services will be Tuesday afternoon [sic] at 10:30 [sic] from the resident and burial will be in Maple Lawn Cemetery. Mrs. Martha BAKER who would have been 80 today died Monday night at her home, 115 Simpson Street of complications that resulted from a fall in her home Oct 25, suffering a fractured left shoulder and hip. She showed signs of recovering but complications developed recently. Mrs. Baker taught school for several years in Boone County as well as in Nebraska and Pittsboro. She was born Jan 4, 1858 at Kirkland in Boone County the daughter of John and Marinda Rogers McLelland. She was married to J. D. Baker Feb 1891 at Lebanon and following her marriage moved to Pittsboro and later Greencastle. In 1895 the couple came to Crawfordsville and have lived at their present address more than 41 years. Mrs. Baker was a member of the 1st Christian Church and Eastern Star, Ladies of the GAR and Daughters of the American Revolution. She attended the Lebanon schools and Old Academy at Lebanon and Danville Normal at Danville, Indiana. Surviving are the husband; one sister, Mrs. Malvina Pittenger, Lebanon; one son, Robert Lyle Baker, Peoria Ill; two grandchildren and several nieces and nephews. Funeral services will be held at the First Christian Church at 2 p.m. Wed in charge of Rev. Paul Million. Friends may call at the Hutn[transcriber error?] & Reeves Funeral home until 1 p.m. Wednesday when the body will be removed to the church. Burial in Oak Hill Cemetery. John Baldwin, a veteran of the Civil War, died at 2 o'clock this morning at his home in Milledgeville of brain trouble. He was born in Kentucky and was sixty-nine years of age. He leaves a wife. The funeral will be help at 10 o'clock tomorrow morning at the church at Milledgeville, Rev. Flagg officiating. The old lady was a peculiar soul and seemed to fear that she might die in want, as she saved every cent she had. After her death money to the amount of about $60 was found sewed up in her corset. Burial took place Sunday at two o'clock at the Fullen Cemetery, south of Jamestown. The deceased was born in Kentucky 17 February 1823, and had come to this state at the age of five years with her parents, who settled in Parkersburg, Montgomery County. She has lived in Jamestown since 1872. She leaves six children surviving her- Marion, living near Poplar Grove; John W. in Jamestown; Nancy J. at Crawfordsville; Martha A. at Pittsboro; James H. at Spokane, Washington, last heard of- and two sisters- Minerva Hedge and Bertha Williamson. Five children have preceded her, with husband to the Unknown. All her children were present at the funeral except James and Robert and part of her Grandchildren . Deceased was a member of the Baptist Church and had been for several years. At one time she was a member of the M.E. Church for a short period. A stroke of paralysis suffered last Friday proved fatal in the case of Mrs. Eliza BARKER Wednesday who died at the home of her daughter, Mrs. J. H. French in Thorntown. The deceased was born in Rush Co In in the year 1840 being a daughter of William and Mary Ann Wilson both of whom preceded her to the great beyond. Her age at the time of her death was 76 years. In the year 1856 she united in marriage to Woodson Vanarsdall, who died a short time after the marriage. Four years ago she united in marriage with Samuel Barker who survives. Five children were born to the first union: Mrs. Louella French, Thorntown; Mrs. Ollie McCasserly, Indianapolis ; Cornelius, Decatur Co; William Michigan and Albert of Franklin. The deceased is also survived by 12 grandchildren. During her entire life Mrs. Barkers was a faithful member of the Methodist Church. The funeral services will be held Friday afternoon at 1 from the Methodist Church at Thorntown and will be conducted by Rev. A. S. Bender, pastor. Body will be interred at Precinct Cemetery. A telegram was received by Art BARINGER, Tuesday, from his brother W. C. BARINGER, of Los Angeles, announcing the death of his wife that morning. The message did not state the cause of her death and no further word has been received concerning her sickness and death. Mrs. BARINGER was Effie PECK, daughter of "Old Daddy" PECK, a former well-known citizen of Jamestown. She was married to Mr. BARINGER about eighteen years ago. They have been living in California about thirteen years. Mr. PECK who went to that state with them, died a few years ago at a ripe old age. Mrs. BARINGER is the last of her immediate relatives to cross the Great Divide. Note: "I am posting this obituary for others. I am not related to the subject. No other information was given." Ester M. BARINGER was born in Jamestown, Indiana, 30 August 1893. She was the second daughter of A. L. and Lillie BARINGER. Esther had been a suffer for nearly four years, her last severe attack of Rheumatism being 23 March 1900, from which time she had been a constant suffer. She bore her pain with out a murmur and was always ready and willing for kind friends and friends to do what they could for her. She never refused a single dose of medicine in all her long suffering. She never wanted for anything but what was gotton [sic] for her. She was made the pet of the family on account of her long suffering. She was her Grandpa Baringer's favorite grandchild, and told him on Thanksgiving day, she would be at his home for Christmas. Esther was baptised [sic] in the M. E. Church, 14 July 1894, by Rev. Isaac Dale. She always loved to go to church and Sunday school, even when she could not walk to Sunday school she was taken and loved to sing her favorite songs, which were sung at her funeral, which occurred at the home 22 December 1900, at 2 o'clock. Esther, we shall miss you from our home. There is a vacant place that can not be filled, but what a consolation when we know she is an angel in heaven, for the Lord doeth all things well and hath said, "Suffer little children to come unto me for of such is the kingdom of heaven." We shall ever cherish and remember her here on earth, and try to live in this life so we may be able to join her in that bright land above, where there is no sickness, sorrow nor death, where no night ever comes- one bright ray of sunshine always; where happiness reigns supreme. Her remains were interred in the I.O.O.F. cemetery, attended by a large concourse of friends and relatives. We desire to thank the kind friends and neighbors for their kindness during the sickness and death of our daughter, Esther. -- A. L. BARINGER and Family. Mary Margaret BARINGER, infant daughter of Arthur and Lillie BARINGER, was born 25 September 1904, and ended her earthly stay at the age of one year, ten months and twenty-three days. Of an unusually bright and cheerful disposition, she numbered as friends everyone that came to know her. Over two weeks ago she showed signs of illness and in a short time her condition was alarming. The best of medical skill and tenderest [sic] of nursing proved powerless to save her life. While the bells were ringing for evening services last Friday her gentle spirit left its little body and went back to its home above never to suffer anymore. We cannot understand the ways of Providence. An old king once comforted himself, when bereaved of a little son, with the the (sic) thought:- I can go to him. The same privilege is extended to all and is inexpressibly comforting to us. BARTLEY, had been killed in action in Korea on February 12.
recalled to the service. He was sent directly to Korea. Thorntown and later Frankfort high school. with the army in Alaska, and two sisters, Kathryn and Mrs. Viola EMERY. Lebanon, Dec 21 – Jesse BEAMAN, 84, a patient of the Boone County infirmary died last night of pneumonia said to have been brought on by injuries suffered a week ago when he was beaten by Lewis Dempster, 25 another patient at the institution. Beaman, who had been living at the home more than 7 years was blind. He was struck over the head and shoulders with a heavy walking stick. Dempster came here from Indianapolis in the last year and was working on a farm near Thorntown when he was crippled in an accident and was sent to the home. Following the attack, Dempster disappeared from the home but was captured near Thorntown and brought to jail here. A charge of assault and battery with intent to kill will be placed against him it was said. The case will be investigated by Boone County grand jury. Officers at the home said that Dempster had complained that Beaman was so noisy that he interfered with his sleep. Lifetime Boone County resident Charles E. “Charlie” Beck, 69, died Tuesday morning at Witham Memorial Hospital. He had been in failing health the past year and had been a patient at the hospital since mid-July. He was born to Wilbur and Hazel (Holmes) Beck on April 18, 1919, in Boone County. He was married to Marjorie J. Johnson in Kentucky on September 18, 1940. She survives. He was reared and educated in Boone County and attended Fairview, Advance and Lebanon Schools. Beck had lived at his present address at Cool Lake for 20 years. A farmer all his life, he specialized in custom bailing the past 30 years. In addition to farming, he hauled milk a number of years in Boone County, he worked nine years for Boone Grain and Seed in Lebanon and drove a school bus for 28 years for Lebanon Community School System. For the past 3 years he also carried an Indianapolis News and Lebanon Reporter delivery route. He was a member of Old Union Christian Church. He served the United States in the Army during World War II. Besides his wife, a son, Frank Beck, of rural Lebanon; a brother, Howard Beck, Zionsville; two sisters, Louise Walls of Lebanon and Pat Soucie, Pittsboro; and three grandchildren, survives him. A son, Michael R. Beck, and two brothers preceded him in death. Services will be held at Myers Chapel of Memories at 10 a.m. Thursday, the Rev. Raymond Duff officiating. Visitation will be at the mortuary after 4 p.m. Wednesday, with burial to be in Old Union Cemetery. Services are at 10:30 a.m. at Myers Chapel of Memories for Donald A. Beck, 83, a Boone County native and retired Indiana Bell Telephone employee. Interment will be in Oak Hill Cemetery. Officiating for the service is Pastor Edward A. Freathy. Visitation is Sunday from 1 to 5 p.m. at Myers Mortuary. Beck died Thursday night at the Hendricks County Hospital in Danville. Born in Lebanon February 26, 1907, he was the son of Charles A. & Maude (Hedrick) Beck. He was married in Lebanon April 29, 1933, to Marjorie E. Eaton. She survives. Beck was reared and educated in Lebanon, where he resided until his marriage. The couple resided near Brownsburg most of their married life, with the exception of the war years when they lived in Lebanon. Beck had farmed in Boone and Hendricks counties until retiring from farming in 1988. In addition, he was employed 43 years with Indiana Bell Telephone, retiring March 1, 1972. He began employment in 1929 in Lebanon as an installer’s helper, but was soon promoted to head trouble shooting for customers, because of his affable and helpful manner. Beck was instrumental in converting the original magneto system for county service to the manual system (for party lines) and then to dial and touchtone systems. As the county system grew, Beck was involved in each step, greatly admired and respected by his peers and other associates for his knowledge and expertise. He was a member of the Corinth Community Church in Hendricks County, The Lebanon Elks Lodge and the Telephone Pioneers of America. The only immediate survivors are a nephew, Franklin Jones of Berne and cousins, Robert and David Truitt and Susan Busenbark. (Lebanon Reporter) -- Benjamin T. BELL, a prominent resident of this city, committed suicide this morning at his home, 1208 South East Street by taking carbolic acid in concentrated form. Mr. Bell arose early this morning and built a fire in the kitchen stove and cared for the fire in the base burner. His wife arose a short time later and went into the kitchen to prepare breakfast. Mr. Bell returned to his room and Mrs. Bell believing that he was feeling badly thought little of it and did not molest him until the meal was ready when she went to summon him. she found him in an unconscious condition. She did not know that he had taken the poison and did not find it out for some time afterward when the acid bottle was discovered under the bed. Dr. R. C. N. Cooke was summoned immediately and arrived at the home about 8 and rendered first aid, but the poison had been taken too long for the physician to save the man and he passed away 8:30. Ill health and financial troubles are thought to be the cause of his act. Aunt Charity BELL, aged a little over 70, quietly passed through the portals of death into that home beyond, where all is peace and rest, Sunday evening. Rev. Cornelius AIRHEART had charge of the service at the M. E. Church Tuesday forenoon at 10 o'clock and her remains were laid to rest in the Pisgah cemetery, north of town. Joseph BELT, a veteran of the Mexican War died at his home in Perry Township Monday at the age of seventy-nine years and twenty-nine days, Mr. Belt was born in Kentucky, and heard of the breaking out of the Mexican War while in Chicago with a drove of horses. He walked to Indianapolis and enlisted in Co. F., 5th Reg. Mrs. H. C. Loudermill attended the funeral of a niece, Barbara B. BILBO, at the Lapell funeral home at Valparaiso, Thursday afternoon, Rev. Ray Kuhn, pastor of Salem Methodist Church officiated at the services. Interment at Salem Cemetery. Barbara, the daughter of Mr. and Mrs. Donald Bilbo, was 37. She was a member of the Boone Co. Christian Church, a graduate of Boone Grove HS and St. Mary's Mercy Hospital Nursing school in 1938. She was a nurse for a number of years in Alaska and Honolulu. Surviving are her parents, and two brothers, Jean of Crown Point and Benjamin of Haines, Alaska and one sister, Mrs. Jane Malte of Eureka, California. Mr. and Mrs. Bilbo formerly lived in Waveland. Mrs. Clara BLACK, wife of James R. Black passed away at her home east of here this morning. Mrs. Black’s death occurred at 5:30 o’clock. The deceased was the daughter of Elza Shivel and Mrs. Maggie Shivel Harrison and was born august 1, 1903 in Ky. She was a member of the Thorntown Christian Church. Those surviving are the husband, a son, Richard, 11 and two half sisters, Joan and Vistel Harrison. The funeral services will be held Monday afternoon at Thorntown Christian Church. Rev. Leland Plew will be in charge and burial will be made in the old cemetery. Frank Bland, one of Zionsville's oldest citizens, and a well known figure in town affairs for many years, died Tuesday morning at his home on South Second St. He had been in ill health for several years. Despite bad health "Serg" as he was known to the older citizens, was until recently, seen on the streets everyday, where he always had a cheery greeting for everyone. The funeral will be held Friday afternoon at two o'clock at the Zionsville Methodist Church, where Rev. Estel Odie will preach the funeral sermon. Burial will be made at Little Eagle cemetery. Mr. Bland was a staunch supporter of the church, where he attended regularly and where he taught the men's Bible class. Mr. Bland was born in Indianapolis, Jan 13, 1854, the son of Milton and Mary Dunham Bland. In 1876, Mr. Bland went to California where he cast his first vote. Returning to Indiana several years later, he again made another trip to the coast. After locating in Indiana the last time, Mr. Bland learned the carpenter trade. While living in Union Township, he was assessor for eight years. He was appointed marshal of Zionsville two times, each time serving for six or seven years. On Nov 3, 1881, Mr. Bland married Emma Kouns, who passed away in Feb. 1923. They were the parents of six children, four of whom survive, Elmer of Zionsville, David and Paul of Indianapolis and Mrs. Eber Moore Of Peru. Note: See photograph of Frank Bland in his Zionsville Marshal uniform. Born in Jefferson Co., Ind. Sept 6, 1826 and died June 23, 1903, aged 76 years, 9 months and 17 days. He was united in marriage Aug. 5, 1850 to Miss Mary J. Dunham. This union was blessed with six children; three of whom died in infancy. He leaves the widow and remaining three children, Mrs. Martha Ludlow of Morgan County, Mrs. Annie Bell and Frank Bland of this county. He united with Missionary Baptist church at Northfield in 1860. In 1889 he moved his membership to the M. E. church at Jolietville, and again was transferred by letter to this place in 1894, continuing until his death. He saw two service in two wars, the Mexican and Civil war. Hillsboro - Harold Blue, 52, of Lebanon, nephew of Mrs. Gertrude Epperson of Hillsboro died at 9 p.m. Thursday at the English Nursing Home at Lebanon where he had been a patient for the past 4 months. He was born at West Lebanon the son of Harry and Emma Griffith Blue Aug 1, 1913. He was a graduate of the Indianapolis School for the Blind, having been blind since birth. He married Marguerite Sommerville July 19, 1953. Mr. Blue was a well known pianist and organist despite his handicap and had followed his profession for a number of years. He was also an active worker in the Lebanon Presbyterian Church. He was a last survivor of his immediate family aside from the aunt, Mrs. Epperson and her sons, Harry and Carl of Hillsboro and other cousins of Ogden, Utah and of Pendelton, Ind. Funeral rites are for 2:30 p.m. Sunday at Russell and Hitch Funeral Home in Lebanon where friends may call after noon Saturday. Burial will be in the Jamestown Cemetery. BOHANNON - We wish to thank our friends, relatives and neighbors for many acts of sympathy in our recent bereavement, the death of our dear husband and father, Floyd E. Bohannon; especially do we desire to thank the Rev. Father McShane for services at the hospital and the Rev. Tripp and singers, the undertaker, Roscoe Conkle, for kind services and to all who sent floral offerings. -- Wife and Babies. Blowout of an automobile tire was blamed for an accident in U. S. Highway 52 Thursday afternoon in which Thomas W. Bohannan [sic], age 64 years, well known Boone county farmer, was injured fatally. State Policeman Robert Shield, investigating, said the Bohannan [sic] car was sent into a skid and against a parked car owned by William Clark of Indianapolis, overturned several times and skidded into a gully. No one was seated in Clark’s car. The force of the crash threw Mr. Bohannan [sic] from his automobile to the roadway. He died a few minutes after the accident. He had been driving northwest in U. S. Highway 52 toward Lebanon. Mr. Bohannon was born in Boone county, a son of Wiley and Phoeba (Kinnamon) Bohannon and had spent his entire life on farms in the eastern part of the county. He had lived on the farm one quarter mile north of Gadsden for the last twenty-eight years. He was a member of the Baptist Church at Whitestown. His marriage to Goldie F. Staton occurred on September 11, 1896, in Boone County … she survives. Besides the widow he leaves … children, Jesse and Russell Bohannon of Indianapolis, Stewart Bohannon of near Rosston, … Herbert Havens of Anderson, … Leroy Cox of Hartford City and Gladys Bohannon at home; three brothers, Wesley Bohannon, Waymansville, Willis Bohannon, Sheridan and Wilbur Bohannon, Indianapolis, and twelve grandchildren. An infant son, Noble Bohannon, and a sister, Mrs. Jas. Mantooth, are deceased. The body was taken to the home north of Gadsden at two o’clock today from the Bratton Brothers funeral home and friends may call at the residence. Funeral services will be held at the Mts. Runs Church Sunday afternoon at two o’clock with the Rev. W. F. Buc__ner of New Bethel officiating. Burial will be in Center Cemetery. Freddie, the three week old son of Ira and Mrs. Boyd , living north east of Jamestown in Harrison Township died Sunday of inanition. This is the baby the press made mention of a few weeks ago that was born with only one hand, the left one being missing at the wrist. The funeral was held at the home, Rev. Jas. Shirley officiating. Burial at Old Union. George L. BRADLEY quietly passed through the gates of death into that eternal home where all is peace and joy, Saturday forenoon. The funeral services were conducted by Rev. L.E. MURRAY at Mt. Pleasant Monday forenoon at 10 o'clock, and the I.O.O.F. 's took charge of the burial services which took place at the I.O.O.F. Cemetery south of town. He leaves a wife, one small daughter, a father and mother, three sisters, four brothers and many other relatives and friends to mourn his loss. John Moore Bragg was born in the state of Kentucky on the 6th of January, 1827. He came to Indianapolis in his early manhood and lived on what is now known as Illinois street. He was married to his first wife, Safrona Kernodle about the year 1848. To this union were born three children, all of whom died in infancy. The wife of his youth also soon departed this life. In the year 1862, February 12, he was again married to Mahala Jane Gifford, who was born July 6, 1832. To this union were born five children, James E., Charles E., Henry G. (who died in infancy), Emma and Laura. Mr. Bragg by occupation was a bricklayer. He, with his brother, Capt. Bragg, built the Lebanon courthouse. During the great panic that came to this country in 1873, like a sirroco, he with many others suffered great financial losses and during this time fire destroyed his home consuming everything but a rocking chair that he has held as a precious memory to this dying day. For about thirty-three years Mr. and Mrs. Bragg made their home in Traders Point. In the year 1880 they moved to Zionsville. Three weeks ago Mrs. Bragg was taken seriously ill with heart trouble. One week later Mr. Bragg began complaining and both declined rapidly. On Tuesday morning at six o'clock he died. Mrs. Bragg survived until Wednesday morning at 1:30. The funeral service was held at the M. E. church this morning at 10 o'clock, with interment at Little Eagle cemetery. Mrs. Louivina BRESSLER, age 41, died Friday at Lebanon. She was born in Boone County, Indiana the daughter of Hillis and Della Mae Bradley Harrison. She was married to Ralph W. Bressler in 1920. The funeral was held Sunday at Lebanon. Survivors are her parents of Russellville, the husband, two children, two brothers and two sisters. Source: "Putnam County Obituaries of Mary Jo Johnson," by Mary Jo Johnson. Used with permission. Mrs. GEORGIA C. BROWN, wife of Carl BROWN, died at about six o'clock on Thursday evening of last week at the home of her parents, G. W. and Mrs. JACKSON, near Ward. The cause of her death was consumption with which she had been a suffer for about a year. The deceased was born in Ohio and was twenty two years, five months and twenty four days old. She was a member of the Christian church at Ward and also the Rebekah lodge at Max. She was married to Carl BROWN 9 November 1904. They begun housekeeping at Pittsboro where Mr. BROWN had a barber shop and lived there until last summer when he sold his shop and broke up housekeeping on account of his wife's condition. Since then they have stayed alternately with her parents and his. The bereaved husband, parents and other relatives have the sympathy of a large circle of friends at Jamestown as well as Pittsboro. Funeral services were conducted at the Christian church at Ward Saturday at 11 a.m. conducted by Rev. S. M. Smith. Burial at Jamestown I.O.O.F. cemetery. Note "I am posting this obituary for others. I am not related to the subject. No other information was given. Birth date by calculating with my PAF Date Calculator is Thursday, 28 June 1883. Date of death Thursday, 14 December 1905." Elizabeth Todd McCormick was born in Shelby Co. Kentucky, 12 march 1815. Moved with her widowed mother to Waveland, Indiana, in 1827. Joined the M.E. Church and was converted in her fifteenth year at a camp meeting near Russelville, Indiana. She was married to John BRUSH 2 August 1827. Moved to Ladoga in 1837, and to Jamestown in 1869. In her young days she listened to the eloquent John Strange preach, and his words lived in her heart all her long life. In her own home she entertained such grand and good men as Daniel Demott, Richard Hargrove, Aaron Wood and many others. She was a woman of strong traits of character and she could never be moved from what she thought was right. She was the mother of nine children, three of whom survive her: John Brush of Lizton, H. C. Brush, of Lebanon Mrs. J. F. Hendricks at whose home her death occurred. She departed this life 28 May 1907, age 92 years, 2 months and 16 days. Her husband died 80 (8?) September 1880. Funeral services were held at the residence Wednesday after noon conducted by H. C. Ne ___[?]. Interment in the Lowery Cemetery at the south edge of Jamestown by the side of her husband. After an illness of tuberculosis with which she had been ill for more than a year, Mrs. Jennie BUDD wife of Reed Budd of Jamestown died at 9 o’clock Sunday night at the home of her parents, Mr. and Mrs. George HARDING at the edge of Jamestown . Deceased was born Feb 23, 1892 and at the time of her death was aged 24 years one month 17 days. On Nov 29, 1911 her marriage to Reed Budd was consummated. To this union was born Malcolm and Irene aged 4 and 2. She is survived by the two children. Deceased was a member of the Methodist Church and Rebekah Lodge at Jamestown and had a large circle of friends. The funeral service will be held Tuesday afternoon at 2:30 and will be conducted by Rev George R. Francis. Burial will be in IOOF Cemetery, Jamestown. Note: "I am posting obituary for others. I am not related to the subject. No other information was given." Dr. G. L. Burk, of Jamestown, died of la grippe at his home Sunday evening, and was buried at 11 o'clock Tuesday, Rev. Johnson of this city conducting the funeral exercises. He is reported one of the oldest, if not the oldest, practitioners in the county, having practiced since 1844. Ruth Jane BURK died at the home of her sister in law, Mrs. James BURK, in Jamestown at about 5 o'clock Tuesday morning of gal stones. She was born near Lizton, Indiana, 7 March 1841 and was therefore aged 64 years, 8 months and 14 days. She united with the Baptist church in 1902. Miss BECK was never married and leaves no parents, brothers or sisters, she being the last of her family. Two sisters in law and a number of nephews and nieces are her only surviving relatives. The funeral services were held at Poplar Grove church at 10 o'clock Wednesday, conducted by Rev. George JOSEPH. Burial at the Poplar Grove cemetery. Note "I am posting this obituary for others. I am not related to the subject. No other information was given." BURNS -- On Thursday, the 19th, of flux, Harvey Elsworth, son of John M. and Mary BURNS. Thomas E. BURRIN, 84, retired druggist of Jamestown died at 3:35 p.m. Tuesday Oct 17, 1961 at the home of a daughter, Miss Esther Burrin, Indianapolis. He had been seriously ill the past week. Born May 23, 1877 in Trenton, Michigan, he was a son of Reuben T. and Caroline Granger Burrin. He married Effie After in 1896. They were married in Flora. Mr. Burrin owned and operated drug stores in Flora, Waveland, Advance and Jamestown before retiring in 1950. He operated a drug store in Jamestown from 1927 until 1950. He was a member of the Jamestown Christian Church and Masonic Lodge. Survivors include the daughter; 3 sons, Thomas J. of Lebanon and Reuben E. and James G. of Indianapolis; a brother, Frank T. of Waveland; six grandchildren and 11 greats. He was preceded in death by his wife. Funeral services were conducted at 2:00 p.m. Friday at Walker Funeral Home. Interment in Old Union Cemetery. After remaining ill for almost 5 weeks, Mrs. Dollie E. BUTCHER of Lebanon who has been visiting her sister, Mrs. J. E. Foulkes of this city for some time died last Friday afternoon at the Foulkes home, 408 Sheridan Avenue, Bright's disease was the cause of death. Mrs. Butcher was the daughter of Mr. and Mrs. James Swearingen of Longview, Indiana and was 44 at her death. She is survived by her husband, M. L. Butcher, her mother, two sisters, Mrs. Foulkes and Mrs. Cora L. Wilson of Springfield, Mo. Funeral services are to be held from the Foulkes home Sunday afternoon at 2:30 in charge of the Rev. Robbins of the ME Church of Lebanon and Rev. Ward of the Christian Church of Lebanon. Friends may view the body from 9 Sunday morning to one Sunday afternoon; burial in Masonic Cemetery. Mrs. Dollie E. BUTCHER of Lebanon died at the home of her sister, Mrs. J. E. FOULKES, 408 Sheridan Avenue yesterday afternoon at about 2:45. Mrs. Butcher had been visiting her sister here about 5 weeks and has been in poor health during most of this time. During the last few days her condition has grown gradually worse until the end came yesterday afternoon. For many months the deceased has been a sufferer from Bright’s Disease. Mrs. Butcher was 44 and was the daughter of Mr. and Mrs. James SWEARINGEN of Longview, Indiana. Her mother with her husband, M. L. Butcher and two sisters, Mrs. Foulkes and Mrs. Cora L. Wilson of Springfield, Mo survive. The funeral will be from the home of Mrs. Foulkes Sunday afternoon at 2 and services will be in charge of Rev. Robbins of the M. E. Church of Lebanon and Rev. Ward of the Christian Church of the same city. Jacob BYERLY died at the home of his daughter Mrs. J. R. Bohannon in Lebanon on December 29. He was well known here as he and his wife kept house for years for J. C. Fordice. He has a son Walter of Rockville. Mrs. Elizabeth CALDWELL died Sunday night at 7 at her home in Thorntown, her death being the ___ of a goiter and the infirmities of old age. The funeral service over the remains will be held this afternoon at one o’clock from Presbyterian Church, conducted by Rev. Hugh N. Ronald. Interment in Bethel Hill Cemetery. Elizabeth A. CLARK was born in Jennings Co IN, Feb 10, 1834, her age at time of demise being 82 years 2 months 28 days. In the year 1865 she married Thomas V. Caldwell, who died Aug 18, 1908. One daughter, Miss Anna Caldwell who resides at home and Irvin, of Lafayette are the surviving relatives. Deceased was an estimable Christian woman and was a member of the Presbyterian Church at Thorntown. Lebanon -- John H. Caldwell former county commissioner and pioneer citizen of Boone County died at his home two miles north of Lebanon at 6:40 p.m., Sunday. He had been afflicted for the past seven months with dropsy and complications. Martha Creswell Caldwell, aged eighty-three, one of the early settlers of Boone county, died yesterday. Nathan CALDWELL, one of the best known citizens of Jackson township, died at his home near Advance Tuesday night after an illness of several months. Mr. CALDWELL was about eighty years of age and had served a term as trustee of Jackson township. Funeral services were held at the M. E. Church at Advance yesterday, with burial at the Odd Fellows cemetery at Jamestown. Note: "I am posting obituary for the others. I am not related to the subject. No other information was given." Nathaniel S. CALDWELL was a native of Lee County, Virginia, where his birth occurred on 3 April 1832. His grandfather, Wm. CALDWELL, also a native of the Old Dominion, emigrated to Kentucky a number of years ago and died there of a ripe old age. Thomas CALDWELL, father of N. S. was born in Giles County, Virginia 12 October 1799, emigrated westward in 1834, and settled in Boone County, Indiana, locating in Jackson township, where he purchased land and engaged in farming. Later he disposed of his original purchase and bought other lands which he improved, and at the time of his death, 13 July 1873 was owner of 111 acres, the greater part under cultivation. Rachael SCOTT, wife of Thomas CALDWELL, was born 22 June 1799, in Virginia, and was the daughter of Samuel and Alice SCOTT, natives of the same state, where the ancestors of the family settled at a period antedating the war of Independence, in which struggle Samuel SCOTT bore a conspicuous part. To Thomas and Rachael CALDWELL were born the following children in order named: Nancy, Mary A., Nathaniel S., John W., Reuben, Jane Elizabeth and Alice. In early days the home of Thomas CALDWELL was a favorite stopping place for all itenerant [sic] Methodist preachers of central Indiana, and it was at his house that some of the first religious meetings ever held in Jackson township were conducted. Nathaniel S. CALDWELL was brought to Boone County when quite young. His early educational advantages were such of the indifferent country schools at the time afforded but such was his diligence and application that with in a few years he had made sufficient progress to enable him to teach, which calling he followed for some time in Jackson township, where he earned the reputation of a very careful and painstaking instructor. To him, as much as to any other man, are the schools of Boone County indebted for much of the efficiency for which they have been noted in the past years. Mr. Caldwell was a self made man in all terms implied, and the beautiful farm he owned, supplied with all modern improvements and latest agricultural appliances, represents the fruits of his unaided industry and well directed business thrift. He was married in February 1857 to Francis CANADA, to which union the following children were born: Thomas. J., David, John M. and Chas. E. CALDWELL, all of which survive him except David who died 16 May 1871. Early last fall Mr. CALDWELL was stricken down with diabetes and compelled to take his bed. During his sickness he manifest great courage and was exceedingly patient at all times. One week before his death he called his wife, children and relatives to his bedside and bade them good-bye telling them to meet him in heaven. He passed peacefully away from the scenes of earth, 18 January 1905. He leaves a widow, three sons, a brother and a host of friends to mourn their loss. Mrs. Nancy Campbell, aged 84 years, 4 months, and 25 days, a native of Nicholas county, KY and a pioneer of this county, died at 10:35 o'clock Monday night at her home, 407 North Park street, this city. She had been ill for one year and her death was due to senility. Mrs. Campbell was married June 5, 1851 in this county to the late David M. Campbell. The children surviving are; William O., of Center township Lucinda A. Wiley, of South Dakota James E. of Clinton township Marth J. Creath, Rosa A. Ransdall and Mrs. Winnie N. Sprencer of Lebanon. She was a member of the First Baptist church of this city. The funeral will be held at the church at 10 a.m. Wednesday and will be conducted by the Rev O. A. Cook. Interment will be at Hopewell cemetery. Mrs. Sarah CAMPBELL of Lebanon, who suffered a stroke of paralysis on December 20th, died Saturday night. She was born in Rush County 72 years ago. Vern R. Campbell, 74, owner of the Vern Campbell Sheet Metal Shop here for the past 48 years, died at 9:15 a.m. Sunday at Culver Hospital. Mr. Campbell resided at 512 S. Green St. He was a member of the First Baptist Church. A native of Boone County, he was born Jan. 29, 1894, a son of William Riley and Serena (Joseph) Campbell. He was married to Elizabeth Spray on June 6, 1915. Surviving along with the widow are a son, Edward; a daughter, Miss Harriet Campbell of Elkhart; two brothers, George of Speedway City and Manson of Delphi, and a sister, Mrs. Clella Yoder of Twin Falls, Idaho. Funeral services will be conducted at 3:30 p.m. Tuesday at Hunt and Son Funeral Home with Rev. Milo Riggs officiating. Interment will be in Masonic Cemetery. Friends may pay respects at the funeral home after 4 p.m. today. Lewis A. CANADY, the son of David and Martha CANADY was born 10 February 1825, in Rush County, Indiana. He moved to Boone County with his father when he was about ten years old, and resided in Jackson township until about thirteen years ago, at which time he moved to New Ross. He was married to Caroline LEE in 1855, seven children were born to them, four sons and three daughters, all of whom are living, save one, Martha Jane. He died 9 November 1905 and leaves a wife, four boys, two girls, fifteen grandchildren, and five great grandchildren to mourn his departure. Funeral discourse by Rev. BROWN of Max at 1 p.m. at Mt. Zion church last Saturday, and interment immediately afterward in Mt. Zion cemetery. Note: "I am posting this obituary for others. I am not related to the subject. Yes, I realize the surname CANADA is also spelled CANADY in this obituary. No other information was given." Mrs. Carr, of Gadsden, died on Friday night. Madison Carr's wife died last Saturday. She was getting well along in years and all her life had been devoted to following the golden rule so that she leaves a large host of friends to mourn her loss and to comfort her much affected life partner. Note: "Hannah (BOBBS) CARR, wife of James Madison CARR, aka Madison CARR." Madison Carr, one of Boone county's oldest citizens died of lung fever at his home near Gadsden last Friday, and was buried at Mounts Run on Saturday, Rev. E. T. Lane officiating. The deceased was one of the best and most favorably known citizens in the east part of the county and at the time of his death was past 74 years of age. Thus one by one they pass away. NOTE: "Madison CARR aka James Madison CARR, married to Hannah (BOBBS) CARR." Mrs. Jane Carr, wife of Ananias Carr, died Monday evening at the home of their son, James N. Carr in the north part of town, after an illness of pneumonia which had lasted four weeks. Her age was nearly eighty-nine years. Her funeral is conducted this afternoon by Elder Larson at the church of the Seventh Day Adventists. Mrs. Carr was born and reared in Virginia, and there was married to George Manifee. With this husband and their children she migrated to Boone county Indiana where Mr. Manifee died as did also all of their children - except their son George. The widow was married in Indiana to Ananais Carr, a native of Ohio, and with him, in 1866 she came to New Albany township, Story county, and in this vicinity the remainder of her life has been passed. The son by Mr. Carr's first marriage, grew up here and removed from Nevada to Oklahoma a month ago. The sons and daughters by her second marriage are James, Jesse, Benoni, Lizzie (Mrs. Mitchell), and Jane (Mrs. Barret) who survive their mother, and William, Daniel, and Phoebe (Mrs. Jackson) who are deceased. Benoni, James N., and Mrs. Lizzie Mitchell are residents of Nevada, and it was at the home of James N. that the mother passed away. Mrs. Carr's grand-children are numerous, as are also her great-grand-children, and her great-great-grand-children are two in number. Mrs. Carr had enjoyed a fair degree of vigor till seized by her fatal illness, and she has dropped away from the side of her husband, who is nearing his ninetieth birthday, at the end of a very long life journey, of which many good words are spoken by those who knew her. Note: Per WPA, Indiana Marriage Records, Jane Manafee married Armanias Carr on 01 Feb 1844 in Boone County, Indiana. Samuel L. CASON one of Boone County's most prominent citizens whose entire life had been noted for its sterling honesty, industry and devotion to family, church and the best public interests passed away at his home on South Meridian Street Saturday at midnight death being a result of a stroke of paralysis which he suffered April 23, 1914. He was 80 years, 6 months 19 days at the time of his death. Mr. Cason was born in Washington Twp, Boone County 6-7-1835. Surviving one sister, Mrs. Sarah Bennett of Elwood and many nieces and nephews. Funeral services were held Monday afternoon from the late home. Milton CASSADAY, a log hauler for the Arm, Bracket and Pin Factory, was found dead in the woods on the John PLUMMER farm, south of Lizton, yesterday morning about half past nine. Mr. CASSADAY left here early yesterday morning after a load of logs. A neighbor noticed the team standing in one place for a long time and thinking something was wrong went over to investigate with the result that he found Mr. CASSADAY lying dead across the skid. He had been working for the factory about one year and moved with his family here shortly before Christmas from Greencastle, Putnam County, IN., His father was a timber man and also died in the woods. Word was telephoned here and Coroner Curtis of Danville was sent for. The coroner found the cause of his death to be heart failure. The remains were brought here and taken to Smith's undertaking establishment where the body was prepared for burial and then taken to his home. The deceased was about sixty years of age and leaves a wife and four children as follows: Mrs. Ida WELLS, of Greencastle, Putnam County, IN., Mrs. Frank DAVIDSON, of this place, Mrs. Clara CASSADAY and son about thirteen years of age. His remains will be interred in the Odd Fellows Cemetery. The little child of Mr. And Mrs. Charles died Saturday and was buried Sunday in the Lowery Cemetery. James Quineon CLICK, long time resident of Boone County and last member of a family of 16 children died suddenly at his home in the south part of Jamestown Friday evening at 6:45 o’clock. Heart trouble with which Mr. Click had been suffering for the past 10 months caused his death. Mr. Click had shown some improvement during the past few weeks and his death was not expected. He died while sitting in a chair at his home. Mr. Click was born in VA on July 31, 1861 and was the youngest child of Mr. and Mrs. Johnathan Click, all preceding him in death. Mr. Click came to Jamestown community with his family when a small boy and had lived here since. During the greater part of his life, Mr. Click engaged in farming on his farm west of this place. He was a member of the Jamestown ME Church and Knights of Pythian Lodge here. Mr. Click is survived by the widow, who was formerly Hortense Mount, two daughters, Mrs. Elsie Porter, residing west of Jamestown and Miss Sallie living at home. Funeral services will be held Sunday afternoon at the Jamestown ME Church and will be in charge of Rev. William Bleam. Interment in IOOF Cemetery. Mary HALE was born in Tennessee, 22 May 1827 and died in New Ross, the 26th inst. She was married to Wm. CLINE, 13 January 1849. The fruits of this marriage were four children, one daughter and three sons. Mrs. CLINE first united with the M. E. church but afterwards transferred her membership to the Christian church of which she was a member at the time of her death. The husband and three sons, John, Anderson and James, and several grandchildren survive. The funeral occurred at the home on Thursday, afternoon at 2 o’clock, conducted by Wm. PATTERSON. Cancer of the stomach is thought to have caused the death of Julia CLOUD, 68, at her home here. She was one of the highly respected women of the community. Two sisters, Miss Minnie Cloud and Mrs. Roland Cosand survive. Funeral services are to be held on Sunday afternoon at 2 at the home with burial in Sugar Plain Cemetery. Miss Julia Etta Cloud died Friday morning at her home in Thorntown. Cancer of the stomach is said to be the cause of her death. Miss Cloud was the daughter of Joseph and Martha Cloud and was born in Boone Co July 25, 1847. She was 68 years, 9 months, and 24 days old at time of death. She is survived by two sisters, Miss Minnie Cloud and Mrs. Robert Cosand. The deceased was a member of the Methodist Church in Thorntown and was a respected resident of that place. The funeral will take place Sunday afternoon at 2 at the home, Rev. S A Bender will officiate. Burial will be in Sugar Plain Cem, west of Thorntown. Andrew J. COCHERELL was born in Carroll county, Kentucky, 15 April 1833. In October 1856, he came to Pittsboro, shortly after which he was engaged by Park POYNTER in wood work in a wagon shop on the site now occupied by E.W. SAWYER’s block. He was married to Mary J. GRIFFITH, 10 September 1858. Eleven children were born to them, two of whom died in infancy. The mother died 15 January 1880. 20 January 1890 Nettie, next to the youngest daughter, was called to join her mother in the spirit world. Next was Thomas: he died and joined his mother and sister 11 January 1903. 16 June 1906, the father passed peacefully away at the advanced age of 73 years, 1 month and 23 days. Four sons, James, Marshall and Willis of Denver, Colorado and Ora, of Pittsboro, and three daughters, Mrs. Eva POUNDS, of Grandville, North Dakota, Mrs. Rose HICKS of Indianapolis, Mrs. Alice DAVIS of Jamestown, and twelve grandchildren are left to survive him and mourn the deep loss they now sustain. The funeral services were held at the residence of his son Ora, with whom he made his home, at 3 p.m. Monday, by Eld. G. D. JUNKEN after which the remains were conducted to the old cemetery by the Pittsboro I.O.O.F. lodge of which he was a member and a large gathering of friends, and laid to rest besides his companion under the impressive rites of his lodge. Mr. Eligoh [Elijah] C. COFFMAN was born Nov. 3, 1833 in Putnam County, Ind. Died at his home north of Sylvan Grove [KS] June 5, 1913. Age 80 years, 5 months and 2 days. In early childhood, he with his parents moved to Boon[e] County, Ind. On August 7, 1856, he was united in marriage to Sarah A. [Adeline] RANDAL [RANDOL]. To this union was born seven children, three of whom have proceeded him to that better land. His wife and all the children were at his bedside when he passed away. Mrs. M. BYLER, Mr. Newton COFFMAN of Kansas City, also his sons John and N. A. COFFMAN, who live near their father's home. Funeral services were conducted at the Pottersburg [KS] church by Rev. ZOOK, Friday, June 6 at 11 a.m. He was laid way in the Pottersburg [KS] cemetery. John M. COFFMAN was born Nov. 20, 1859, in Boone county, Ind., and departed this life Feb. 24, 1932, reaching the age of 72 years, 3 months and 4 days. He was converted during young manhood days, and united with the Methodist church, Pottersburg, Kan. He was a consistent member of this church, as long as it existed. He was united in marriage to Blanche E. FANCHER, Feb. 22, 1906. To this union were born two sons, James and John. His wife preceded him in death July 20, 1911. Sarah Adline RANDOL was born in Putnam Co. Ind. Jan. 4, 1841, and departed this life Feb. 16, 1932, reaching the age of 91 years, 1 month, and 12 days. She was united in marriage to Elizah [Elijah] Collins COFFMAN of Putman [Putnam] Co. Ind. Aug. 7, 1856. After their marriage they lived the greater part of the time in Boone Co. Ind. In 1879 they moved to Lincoln Co. Kans. and home-steaded a farm, where she resided until her death. To this union seven children were born. She leaves to mourn her loss: 3 sons, John of the home, Newton of Kansas City, Kans. and Norman who lives on a farm north of Sylvan Grove, Kans. One daughter, Mrs. Mary Adaline BYLER, Denmark, Kans. Funeral services were held Thursday afternoon at 2 o'clock, at her home. Interment in the Pottersburg [KS] cemetery. John C. Cogle, son of Benjamin Cogle, was born March 24, 1844, at Frankfort, Ky., and departed this life March 11, 1923, aged 78 years, 11months and 15 days. He united with the Christian church in his early teens and lived a consistent life, always cheerful and happy and made a host of friends wherever he went. He enlisted in service for his country in 1862 at Eminence, Henry county, Ky., in Co. H, 9th Kentucky Cavalry, and served until discharged at Eminence Ky., September, 1863, with the rank of sergeant. He was in the battle at Perrysville, Ky., but was principally engaged against Morgan. At that battle of Perrysville Sergeant Cogle was severely wounded and his horse was shot dead under him. His spine was injured and he lost the sight of one eye. After the war he carried on a confectionery establishment at New Castle, Ky., until he came to Boone county, Indiana, in the year 1876, and engaged in farm work. He made his home at George Threlkeld's until the year 1883, when he united in marriage, July 31, with Mary A. Garner. To this union were born four children, Stella M. Threlkeld, Bessie E. Apple and Egbert Cogle, and one child, who died at the age of three years. There are surviving one sister, America Threlkeld, and 16 grand children and a host of friends to mourn his death. Mr. Cogle was a member of the Masonic lodge since 1877. The community has lost a loyal citizen and a kind friend always cheerful and happy, with a kind word for everybody. The funeral was held at Providence, Rev. C. L. Airhart and Rev. George Joseph officiating. Interment at Old Pisgah church cemetery. NOTE: "The surviving sister mentioned (half-sister actually), America Threlkeld, was married to George Threlkeld, who is also named herein." Funeral services for Mrs. Nora Cogle, age 50 years, who lost her life in a fire which destroyed her home three miles west of Advance Wednesday morning, will be held at the Bratton Brothers funeral home at 10:30 o'clock Friday morning. The Rev. W. P. Kibbey will officiate and burial will be in Pisgah cemetery, near Beckville, in Montgomery county. Note: See news report of home fire. Lebanon Jan 4 - Mrs. Elizabeth COLLINS mother of Mrs. James H. Black died at the family residence on North Meridian Street, Sunday where she had made her home a number of years. The deceased was born in Butler County, Ohio in the year 1832 but the greatest part of her life was spent in Perrysville, Indiana where her husband died 23 years ago. Two daughters, Mrs. James H. Black and Imogene Chumler of Indianapolis survive. After a short funeral service at the residence at 12 o’clock yesterday the remains were taken to Perrysville for interment. The deceased was a member of the Presbyterian Church of this city and funeral services were in charge of the Rev. O. H. Carmichael, Mrs. Lester F. Jones and Miss Harriet Gabriel sang accompanied by Miss Carrie Edwards. The body of Samuel CONNOR, who lived southwest of Ladoga, was found last Friday morning in Haw Creek. On Wednesday forenoon he had gone to town and the last that had been seen, he was going home apparently in the best of spirits. He had driven his horses near the creek and tied it and was supposed that he was hunting pawpaws as he was very fond of them. It is not known, nor will it ever be, how he came to be in the creek but as he had heart trouble it is thought he had fallen in. The body lay in the water for over two nights and was in terrible condition when found. The funeral was preached at his home Sunday forenoon and his remains were laid to rest in the cemetery at Union. He leaves a wife and several children, a mother, three sisters, three brothers, a number of other relatives and friends to mourn his loss. LESTER WAYNE COOK, 77, Lebanon, died Thursday. Services will be at 10:00 a.m. in Myers Mortuary, Lebanon, with calling from 4 p.m. to 7 p.m. Sunday. He was a maintenance worker for the Boone County Courthouse. Previously he had retired from Boone Grain and Seed, Lebanon. He also had been a carrier for The Indianapolis Star, The Indianapolis News and Lebanon Reporter. Memorial contributions may be made to the donor's favorite charity. He was the widower of Mary M. Lloyd Cook. Survivors: sisters, Geneva Gibeaut and Betty Jean Nease: brothers, James C. , A. Norman and Donald E. Cook. Martha Emeline Vidito Copeland was born September 22, 1854 and departed this life on July 22, 1913 at age 59 years and 10 months. She was united in marriage to Taylor S. Copeland on November 12, 1871. She is survived by the husband and five children--Charles and Harry of this county, Taylor Jr. of Berrien Springs, Michigan, Blanche Reed of Plain City, Ohio and Grace at home. Two children died, one in infancy and Mary at the age of 11. She also leaves 12 grandchildren, three sisters and two brothers: Sarah E. Dale of Montezuma, Indiana; Maggie Powell of near Lebanon, Vernelia Vidito who made her home here, John R. Vidito of Mechanicsburg, Indiana, Philip Vidito of Paris, Illinois and a host of relatives. She united with the Protestant Methodist Church at an early age. She later joined the Center Baptist Church in 1871. She lived a consecrated Christian life. Rev. O. A. Cook, of Franklin, Indiana was the Pastor. Millard F. (Jim) Copeland, 82, of rural Lebanon, died Thursday, May 9, 1991, in Witham Hospital, Lebanon, Indiana. He was born March 12, 1909, in Boone County, Indiana and was a life resident. He married Mary Margaret Roberts in Thorntown, Indiana on June 1, 1930, and she survives. Mr. Copeland was a tool grinder from 1941 to 1973. He had worked at Winkler's, as well as at Richmond Bakery and at Campbell, Smith and Ritchie cabinet Factory. He also had farmed. He was a member of First Baptist Church of Lebanon. Surviving are five children, the Rev. James R. Copeland of Knox, Indiana; Donald G. Copeland of Elkhart; Richard D. Copeland of Wilson, Michigan; Mrs. Richard (Margaret Joan) Culley of Lafayette and Millard Carter Copeland of Whitestown; two brothers, Delmar Copeland of rural Lebanon and George Copeland of Lebanon; and a sister, Mrs. Albert (Mary) Stewart of Akron, Ohio; and several grandchildren and great-grandchildren. He was preceded in death by his father, Harry Copeland, his mother, Maude Byfield Copeland, brothers Melvin, Marion (Dee), and Carter Copeland; sisters Mable Lanham Fray and Helen Copeland, and two grandsons. Funeral services for Mrs. Elmira Catherine Cornelius, 70 years of age, a former resident of Boone County, near Advance, who passed away Saturday afternoon at her home, 1910 Broadway, Indianapolis, were held this afternoon at the residence with the Rev. Rothenburger of Indianapolis officiating. Burial was at New Ross. She had been ill four weeks and the cause of death was paralysis. Mrs. Cornelius was born in Green county, Indiana, a daughter of Mr. and Mrs. Augustus Nation. She was married in 1884 at Bloomfield to John Wesley Cornelius who passed away twelve years ago. Since the death of her husband she has resided in Indianapolis. Mrs. Cornelius was a member of the Baptist Church at Newark, Ind. Surviving are two children, Mrs. Mae Belle Troutman of Indianapolis and Mrs. Ruby Mathilda Riner of Downing, Wis., a brother, McClelland Nation of Bloomfield, and three grandchildren, John Robert Farris of Staunton, Ill., and Daphne and Diana Riner of Downing, Wis. A daughter, Mrs. Verna Farris, a sister and nine brothers preceded her in death. NOTE: "Elmira Cornelius died in Indianapolis, Marion County, Indiana, July 4, 1936." Transcribed by: T. Stover - from microfilmed copy of original obituary. Advance, Jan 14 -- Funeral services were held at the North Christian church here yesterday for John Wesley Cornelius who died Monday night from a stroke of apoplexy at his home three miles west of this place. Rev. George Wyatt officiated and interment was in the I.O.O.F. cemetery at New Ross. Mr. Cornelius was born in Green County, Indiana, and was 64 years, 8 months and 29 days of age. He had resided for fifteen years on the farm where he died. Previous to moving to Boone county, Indiana, he had resided in Illinois and Kansas. Mr. Cornelius was married March 11, 1884, in Green County, Indiana, to Elvina Nation, who survives with three children, Mary Belle Troutman of Terre Haute and Vern Farris and Ruby Riner of Advance. One son, Charles Cortland Cornelius, died when seven months old. Three brothers, M. C. Cornelius of Morrisonville, Ill., William of Harvey, Ill., and Charles of Bement, Ill., are living. Two sisters, Alice Nation and Frances Sullivan, are deceased. NOTE: "John Wesley Cornelius died on an unknown date, January 1926." Mrs. Mary A. CORY, 90 years 3 months 5 days died at 12:30 today at the home of her son, Chester Cory, W. Wabash Ave. Mrs. Cory lived for many years at Shannondale and was widely known in that community. She had lived here with her son since April 1915. On March 6 last, a fall results in a fracture of the aged woman's thigh and since that time she has gradually grown weaker until her death today. Besides the son at whose home her death occurred, Mrs. Cory is survived by two other sons, Rev. I. J. Cory pastor of the Congregational Church at Hardin, Montana who was at the bedside when death came; and Judge C. N. Cory of Worthington MN who was too ill to be present. One daughter, Mrs. Emma Adams of Piqua, Ohio also survives. The deceased was born in Ohio but came to Shannondale shortly after her marriage and there most of her life was spent. She held the highest esteem of all who knew her. Funeral services are to be held from the Shannondale Church Thursday afternoon at 10:30. Robert Dale Owen COVEY died at his home, two and one half miles southeast of Jamestown at three o'clock p.m. Tuesday, 12 November 1901, of a complication of liver troubles, after an illness of two weeks. He was born in Eel River Township, Hendricks County, where he has since resided and was 57 years, 2 months and ten days of age. He was married to Sarah Eliza BLAKE to which union was born seven children, five boys and two girls as follows: Angelo J., Charles O., Kellie May Abney, Earl Forrest, Ray V., W. L. And Katie Franklin, all of whom the last named, with the widow survive him. Funeral services were conducted by Rev. O. B. Ripptoe Thursday morning at 10 o'clock at the residence after the remains were interred in the Lowery Cemetery, where the deceased father and mother and other relatives are buried. Lebanon, Ind. - Henry C. Cox, 81 years old, Lebanon, for many years employed in hardware stores in Thorntown and Lebanon, died in Witham Hospital Wednesday following a heart attack. He was a native of Boone County. Surviving are his widow, the former Miss Maude Kersey; a son, Asher Cox of Oak Park, Ill., a foster daughter, Dorothy Linton of Lebanon, and a half-brother, Bert Cox of Crawfordsville. Services will be at 2:30 p.m. Saturday in the Myers Mortuary will burial at Oak Hill Cemetery here. Note: "Henry C. Cox was born August 27, 1874, in Boone County. Bert Cox is James Bert Cox. Oak Hill Cemetery in Lebanon. Parents were Peter Cox and Melvina Jane Beck. Asher R. Cox was married to Mary Catherine Endicott." Source: "My Grandmother's Scrapbook. May contain errors, typed as is from article." Wingate - James Bert Cox, 82, died at 6:05 p.m. Sunday at the home of a daughter, Mrs. Russell Mitchell, east of here. He had been in failing health for 18 months and seriously ill for one week. Born May 13, 1778, in Boone County, he was the son of Peter and Mary McDonald Cox. He was married Oct. 16,1898, at Darlington, to Myrty Belle Spry. She died May 16, 1959. Mr. Cox lived in Crawfordsville, Shannondale, and Darlington all of his life. He moved to the home of his daughter when his health began failing. He attended school at Elizaville and was a farmer and laborer. Surviving, in addition to the daughter at whose home he died, are two other daughters, Mrs. Flossie Burroughs and Mrs. Evelyn Keys, both Crawfordsville; four sons, Lester of Crawfordsville, Oakel and Herbert, both of Indianapolis and Cecil of Phoenix; eight grandchildren: eight great-grandchildren and several nieces and nephews. He was preceded in death by two half-brothers, a half-sister and two infant children. Funeral rites are set for 2 p.m. (EST) Wednesday at Servies Funeral Home in Waynetown with Rev. Carl Niebet, pastor of the Wingate Christian Church, in charge. Burial will be in the Shannondale Cemetery. Friends may call at the funeral home after 7 p.m. Monday. Note: "Myrty Belle Spry is Myrtle Belle Spry. Mrs. Russell Mitchell is Edna Ruth Cox. Mrs. Flossie Burroughs is Flossie May Cox. Mrs. Evelyn Keys is Evelyn Bernice Cox." Note: "This obituary was evidently first posted in the Ladoga Ledger and then picked up by the Jamestown Press and reprinted"
Grandpa CRAWFORD, quietly passed through the gates of death Thursday night and his remains were laid in the I.O.O.F. Cemetery, south of town. Clyde CULLY, 42, a resident of Boone County all his life and a citizen of Advance died suddenly at his home here Saturday morning at 8:30 following a heart attack. Although Mr. Cully had been in declining health for the past two years he visited the downtown district Saturday morning and appeared to be in the usual health. He suffered the heart attack while downtown and died a short time later. Mr. Cully was born in Boone Co on May 27, 1889 a son of Mr. and Mrs. George C. Cully. He was united in marriage to Pearl Owens on Nov 5, 1906. The deceased is survived by the widow; one daughter, Mrs. Mary J. Dickerson of Advance, his father residing at Danville, two brothers, Clarence of Danville and Alva of near Waveland, and one sister, Mrs. Ruby Jones of Zionsville. Funeral services will be conducted at the home in Advance on Monday afternoon at 2 and will be in charge of Rev. O. A. McDaniel. Interment will take place in the Jamestown cemetery. Mrs. Harriet A. Cundiff was born 11 January 1835. At the age of 14 she joined the Christian Church at Lizton and remained a faithful member until her death. She was married in 1850 . Her husband lived until 1868. Two children are living, one dead in childhood. Mrs. Cundiff had been a great suffer[sic] for several years past, being afflicted with cancer in her eye. Friends say no one ever heard a word of complaint or murmuring during all the long days and nights of intense agony. She was buried at the cemetery one half mile east of town, 22 December. Little daughter of William and Katie Curtis died of consumption at the home of her parents, 812 Hamilton Street Monday. She was eight months and 28 days old. Interment at Brockway Cemetery. Philander M. Curtis, 90 years old, a resident of Boone Co. since he was 3 years old and a Veteran of the Civil War, passed away at his home, 823 N. Jameson St. at 5 o'clock this morning, following an attack of acute uremic poisoning suffered last Friday. Mr. Curtis was perhaps the oldest resident of the county in point of consecutive residence. He would have celebrated his 91st birthday December 2. Mr. Curtis was born in Brown Co. OH, and came to Boone County and settled in the Hopewell neighborhood, with his parents when he was 3 years old. 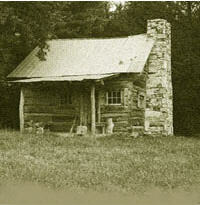 His father, Erastus Curtis taught school an the old log church at Hopewell for several years. During the Civil War, Mr. Curtis enlisted as a private in Company H, 11th Indiana Cavalry, and served 23 months in the Army. He came to Lebanon 41 years ago, and engaged in the Gunsmith business. He was a member of the Presbyterian Church in the city, and Rich Mountain Post of the G. A. R.
Mr. Curtis was married October, 13, 1858 near Hopewell to Dorcas N. Brenton who died January 8, 1910. He is survived by 6 children, Wallace G. of Indianapolis, Mrs. Margaret I. Perkins of Grand Junction Iowa, Mrs. Rebecca Wysong of Chicago, Mrs. Pearl Shakleford of Ladoga and William G., and Miss Flora of Lebanon, 13 grandchildren, 25 great-grandchildren, and 3 great-great-grandchildren. He was the last of a family of 4. Ambrose D. DALE, one of the Boone County’s oldest residents, died Sunday morning in the Noblesville hospital, where he was taken a few days before his death. He was ill ten days with hypostatic pneumonia. One daughter, Mrs. Albert SMITH of Hendricks County, survives. Mr. DALE was a carpenter and millworker in Lebanon for many years. He had resided with his nephew, Walter INMAN near Westfield for the past year. Revs. CARMICHAEL and KENT conducted the funeral services at the Lindsay & Tolle parlors Tuesday at 2 p.m. The Masons, with whom he held membership 56 years, gave their burial service at Oak Hill. Eliza HICKS Davidson was born in Montgomery County, Indiana, 7 September 1828. She was married to Gabriel S. DAVIDSON, 29 June 1843, To them were born thirteen children, of whom ten are living. The husband and father died 15 April 1896. The mother died Saturday, 10 August 1901. If she had lived until September 7, she would have been 73 years of age. She became a member of the Christian Church in August, 1900. The funeral was preached at the home of her son, Frank, in Jamestown, by Rev. Sam Smith, Monday morning at 10 o'clock. Interment at the HICKS Cemetery in Montgomery County, five miles south west of here. Settled at Thorntown in 1837 - Lived long in Clinton Township - Funeral occurs Wednesday. Ephraim Davis, long a resident of this county, died at 10:00 o'clock Monday night at his home on Lafayette Avenue. He had been ill for the past six weeks with stomach trouble which caused his death. Mr. Davis was born in Ohio, April 20, 1826, and was consequently aged 80 years, 10 months and 28 days. He came to Indiana in 1837 with his parents and settled in Thorntown. Later he moved to a farm in Washington Township. At the age of twenty-two he purchased of the government a farm in Clinton township and lived there until seventeen years ago when he moved to Lebanon, where he had since resided. He was married Feb. 20, 1849 to Jane Elizabeth Downing, who died Oct. 27, 1906. The surviving children are: Albert, of Charleston, Ill; Viola Bradley, of Indianapolis; Elnora Rogers, of Clinton county; Elva Beach, of Cambria, Ill; Mary Matthews, of this city. One son, Charles, died in 1902. Mr. Davis leaves one brother, Milton, of Brewersville, Ind. ; and one sister, Mary Howe, of Iowa. Mr. Davis was a charter member of Hart Lodge, I.O.O.F. of Mechanicsburg and a member of the Red Men's Lodge of this city. The funeral will be held at the residence, 709 Lafayette avenue, at 2:30 p.m. Wednesday, the Rev. Robert H. Milligan officiating. Interment will be in Oak Hill cemetery. Friends may view the remains at the residence from 10 a.m. Wednesday to the hour of the funeral. Miss Grace Ethel DAVIS for many years a school teacher in this vicinity died at the home of her parents, Mr. and Mrs. Monroe Davis east Main Street. She had been in failing health 5 years, but did not become seriously ill until 10 this morning. Shortly after, she suffered a cerebral hemorrhage, resulting in her death. Miss Davis was born in Boone County Oct 8, 1879 the daughter of Monroe and Ann Davis. She was never married. She was a member of the local Christian Church and for 13 years was a teacher in Ashley & Jamestown schools. She had been employed in an Indianapolis department store for the past 16 years. Besides the parents the survivors are 3 brothers: Ray at home; Russell of Columbus, Ohio and John of Hartford city and 3 sisters: Mrs. Josie Mitchell of Indianapolis; Mrs. Floyd Kessler of Speedway; and Mrs. Arthur Ziegler of Toledo. Last rites for the dead woman will be held at the Davis home at 10 Sunday morning. Burial in Jamestown IOOF cemetery. Mrs. Florence Davis, native of Hendricks County, died, Friday, at the home of her daughter, Mrs. Mary E. Grimes, at North Vernon. She was 92 years old. She was a former resident of Fayette where she was a member of the Baptist Church. She had been a resident of Indianapolis for the past 42 years. Survivors include three daughters and two sons. Services were conducted, Monday afternoon, in the G. H. Herrmann Funeral Home with burial in Mt. Pleasant Cemetery. here Thursday of last week. Okea Davis was born 29 January 1879, and died 26 July 1904; aged 25 years, 6 months and 26 days. She was the daughter of Mr. and Mrs. Milton Davis and was born near North Salem, Indiana. She united with the Christian Church at Jamestown 6 April 1898, during the ministry of ELD. W. T. Brooks, and ever lived faithful, consistent member till death. She was a suffer[sic] for almost two years with consumption, yet she bore it all with out[sic] complaint. Okea was an obedient daughter and loving sister, and will be greatly missed in the home she loved so well. She filled all the relations in her life with dignity and honor and her Christian character was as bright as her faith was steadfast and sublime. Funeral services were held at the Christian Church Wednesday at 2:30, Rev. E. A. Jordan officiating. The large audience marked the esteem in which the deceased was held by her neighbors and friends. Interment at the I.O.O.F. cemetery. Services for Samuel Davis, 7600 S. Meridian St., a retired farmer, will be at 10:30 a.m. tomorrow in the G. H. Herrmann Funeral Home. Burial will be in Mt. Pleasant Cemetery. Mr. Davis, who was 81, died Saturday in his home. A native of Boone County, he lived in and near Indianapolis 33 years. Survivors include his wife, Hannah Florence; three daughters, Mrs. Lenora Feibel, New York City; Mrs. Ethel Grimes, North Vernon; and Mrs. Enid Pearson, Indianapolis; three sons, David Earl, New York City; Charles S., Hammond; and Glen, Indianapolis; six grandchildren and eight great-grandchildren. Mrs. Nancy DAY died at the home of her son-in-law, James EMMERT, one and a half miles northwest of Jamestown, Monday night, 31 March 1902, aged eighty-one years. She was born in Union County and was a member of the M. E. Church. Her Husband Elijah DAY, was assessor of Jackson Township for a long number of years and was well known and highly respected. Mrs. DAY was the daughter of David CANADA who was well known in this vicinity. Mr. CANADA was the father of nineteen children all of whom lived to have families of their own and the children and grandchildren now number several hundred. Mrs. DAY was the mother of five children: Thomas of Mt. Clair, Neal, of near Advance, Mrs. Margaret RODGERS, of New Ross, Mrs. James EMMERT at whose home she died and a daughter whose home is in Crawfordsville. The funeral took place at Mt. ZION Wednesday morning. Rev. O. B. Ripptoe officiating. Interment in Mt. Zion Cemetery. Jackson Dickson was born in Montgomery County Kentucky, 7 March 1815, and died at the home of his son William, in Jamestown, at 2 o'clock a.m. 8 September 1903, being at the time of his death, 88 years 6 months and 1 day old. Jackson was the youngest child of a family of nine children, of Peter and Barbara Dickson. His parents moved from Kentucky to Scott County, Indiana when he was quite young, where he was reared to manhood. On 22 November 1836, Jackson Dickson was married to Miss Ann Miller, shortly afterwards they moved to Jackson County and a few years later to Marion County where they resided a number of years, till removing to this vicinity. Nine children were born to them, five of whom are living. The wife and mother preceded her husband to that Unknown Land about ten years ago. The five who have died were Margaret Ellen, Elizabeth J., Alice, Minnie and an infant babe. The five living are James F., who resides at Bloomington; William P. of Jamestown; Newton J., and Mollie, of Indianapolis; and Mrs. Hale Bush, northwest of Jamestown. The funeral services were held at the Mount M. P. Zion Church, of which congregation the deceased was a member, at 2 o'clock Wednesday afternoon. Interment at Mount Zion. On last Sunday evening the reaper whose name is death once again visited the home of Parley Dixon calling for their son George who was just entering into manhood. He was a boy of good habits and a member of the Fairview Christian church. He died of diptheria and was buried early Monday morning at Center cemetery. We would say to the bereaved friends that they have the sympathy of the people of this place. George W. Dixon died at the home of his parents, Mr. and Mrs. William P. Dixon near Englewood, Sunday evening about 6 o'clock of diphtheria. He was 16 years, 5 months and 22 days old. Private funeral services were conducted Monday morning. Burial at Center. NOTE: Date of death was August 5, 1900, per Boone County Death Index 1882-1920. James C., the son of Mr. and Mrs. Wm. P. Dixon, five miles east of this city, died Friday evening about 6:30 o'clock of diphtheria. Private funeral services were held Sunday morning at the residence. Burial at the Center cemetery. Mary C. , daughter of George and Elizabeth Day, was born in Marion County, IND, 21 October 1847. She was united in marriage to Wm. P. Dickson 28 August 1870. There were born to them nine children. William, Robert, Charles, Frank, Lewis, Cenia, Warren, Harry, Lula, all of whom all of whom survive their mother but, Lewis and Lula. It was the privilege of the now bereaved husband and children to care for her during the last week of her fatal illness and as the end of her life drew near they were at her bedside and administered to her wish with willing and loving hands. And was the desire of her heart she sweetly fell asleep at her home 18 January 1908, aged 60 years, two months and 27 days. After long years of sore affliction she rests, happily rests in the Beyond where there are no clouds to darken the understanding, but where all is light, and love, and joy. The husband and children wish to hearby express their heart felt thanks for the kindness and sympathy shown, and for the assistance rendered during their recent bereavement. Note: "This was a very difficult obituary to read. The title gives Mrs. Dixon's name spelled as "Dixon" where the text has her last name spelled as "Dickson." Lillie L. DOLBY died last Thursday evening at the home of her mother, Mrs. B. M. DUNCAN, of consumption, aged 21 years, 8 [3?] months and 26 days. Burial in Lowery Cemetery, Friday afternoon, services conducted by Rev. O. B. RIPPETOE. She was a member of the M. E. Church. She had been staying at Indianapolis and came home sick about seven weeks ago. "Aunt Sallie" Doyal died at her home near Fayette early Sunday morning, and was buried at the Howard Cemetery Monday a [sic] 2 o'clock p.m. She was born in 1816, the year Indiana was admitted to the Union and at the time of her death was one of the oldest citizens in the section in which she lived. Her husband and three children will follow later on. (Lebanon Reporter) -- William Taylor DUFFEE, who was taken to the county farm only a few days ago died there yesterday evening 6 o'clock. His health had not been good for some time and after he was taken to the county farm he refused to take any food at all. He was born in Douglas Co NC March 19, 1844 and was therefore 71 years 10 months 5 days old. He was married 3 times, the first being to Claranda Wheeler, second to Ellen Bush and the last which occurred Oct 10, 1899 to Mrs. Lydia F. Wyant, who survives but is in poor health. Deceased had served as constable here for a term of 12 years. Dora I. DALE, daughter of James B. and Maggie DALE, was born in Boone County, 8 November 1878, and died 4 August 1906, at the close of an early pilgrimage of 27 years, 8 months and 26 days. She united with the Old Union Christian church at the age of ten. She was married to T. W. DULIN 24 November 1905. Her husband, mother, two brothers and one sister survive her. She was a member of the order of the Rathbone Sisters at Whitestown. Her death was a triumph in that she left with her loved ones her testimony of her faith in Christ. The funeral services were conducted Monday, 6 August, at the Old Union church by C. A. BROWN. Interment at Old Union. Mrs. Mary Ann Dulin, 81 years of age, passed away this morning at 8:15 o’clock at her home near Whitestown following a week’s illness with bronchial pneumonia. She was born in Clermon [sic] county Ohio, and came to Boone county at an early age. She was married here March 22, 1863 to John O. Dulin, who preceded her in death in 1909. During his lifetime Mr. Dulin served as commissioner of Boone County. She was a member of the Christian church at Gadsden. Mrs. Dulin is survived by seven children. Harvey Dulin, John L. Dulin, Jesse C. Dulin, T. W. Dulin, Frank R. Dulin, Mrs. Lula Dulin Ruddle, [sic] and Claude Dulin and one brother Albert Carr of Anderson. She also leaves twenty one grandchildren and nine great grandchildren. Funeral services will be held Wednesday morning at ___ o’clock at Mts. Run church with burial at Mts. Run Cemetery. Note: "Mary Ann (Carr) Dulin was born April 14, 1845 in Clermont County, Ohio, the daughter of James Madison and Hannah (Bobbs) Carr. She died July 12, 1926 in Boone County, Indiana." DULIN, Roy Edgar Sr., of 129 West Grand Avenue, El Segundo, husband of Carrie K., father of Pvt. Roy E. Dulin, Jr. (U.S. Army); brother of Oren Dulin of Frankfort, Ind., brother of Vera Smith of Zionsville, Ind., Ora Pipes of Lebanon, Ind., Neva Essex of Whitestown, Ind., Deleda Cragun of Indiana; also survived by one grandson. Services Wednesday, 1:30 p.m. at Utter-McKinley's Beaver, Inglewood Chapel. Note: "The city of El Segundo is in Los Angeles County, California." Beatrice, Neb., July 27. -- Mrs. Elizabeth Fall Eastin, aged eighty-seven, died here Wednesday evening at the home of her brother, Dr. Clifford P. Fall. She was a native of Boone county, Ind., and a descendant of Daniel Boone. She had made her home in Beatrice since the death of her youngest sister, Mrs. C. M. Timberlake, wife of Congressman Timberlake of Colorado. The body will be taken to Aurora for burial. Mrs. Adda Mahala Edwards, wife of Carl H. Edwards, died Monday afternoon at four o’clock, at the family residence, 704 South Hamilton Street, at the age of 34 years, 11 months and 12 days. She had been ill for three years. Mrs. Edwards was born March 19, 1888, in Boone County, Indiana, and was married to Mr. Edwards September 14, 1913, at Indianapolis. Beside the husband, there are surviving three children, Ethel Fern, William Carl and Arthur LeRoy. One son, Virgil is dead. There are also surviving five brothers and a sister, William Hancock, of Whitestown; Jesse, George and John Hancock, all of Crawfordsville; Forest Hancock, of Holdridge, Nebraska, and Mrs. Lucy Medlin, of LaGrange, Indiana. She was a member of the United Brethren Church at Maple Grove. She lived her entire life in Boone County, and has for ten years been a resident of Lebanon. Rev. Alva Whitman conducted the funeral from the Walnut Street Baptist Church this afternoon at two o’clock. Burial at Oak Hill Cemetery. A pilgrim here for 90 yrs died Dec. 8 at his son-in-laws, Thomas O. Sick's, where he has made his home for several years. He was born in TN in the year 1802 or 1803. He emigrated to Rush Co, IN where he married Sally Ann McDaniel. To this union was born 11 children. He moved to Boone Co in 1841 and his 1st wife died in 1852. He then married Cynthia Bullock. To this union 1 son was born, making in all 12 children. He was married the third time to Mary Ann Shephard, and the fourth and last time to Amanda Reeves. All four of his companions and six of his children have preceded him to the better land. He leaves 6 children, 36 grandchildren and 32 great-grandchildren. Funeral at Mount Union. William C. ELDER, was born in Millville, Ohio, 20 April 1830. Died, 2 October 1898, aged 68 years, 5 months and 12 days. His father died when he was two years old. His mother came to West Union, Indiana, with the family, William making his home with his uncle, William SHAFER. He was married to Elizabeth SAVILL in the year 1851. To this union were born eleven children, five of them having preceded him. He leaves a wife, four daughters, two sons, four half brothers, two half sisters and many relatives and friends to mourn their loss. He united with the Friends Church in 1884 living true to that faith until 2 October 1897, when he united with the Christian Church increasing his faith in Christ, and in this faith he died praising our Lord, which were his last words spoken. His dying request was that each of his children live a life that when death came they might have a life beyond, where all is peace and joy. The deceased was the father of Louis ELDER, who lives near Lizdon. Henry Albert EMMERT, 48, life long farmer died at Culver Hospital Saturday morning at 2:45 o’clock after a short illness. He was stricken last Sunday with thrombosis, which was the cause of death. Mr. Emmert was born July 20, 1883, in Boone County, son of Lewis and Alice Emmert. He was first married Sept 7, 1907 to Stella M. FINCH, whose death occurred November 1918. He was married a second time on August 23, 1919 to Mrs. Clara Marshall who died Feb 15, 1931. Since the death of his last wife, Mr. Emmert had made his home with a daughter, Mrs. Earl Lowe. Mr. Emmert was a member of the Mount Zion Methodist Church. The survivors include 3 daughters, Mrs. Earl Lowe of Alamo and Margaret Jane and Betty Alice Emmert, both of Alamo; 4 step children, Mrs. Evelyn Lowe of Crawfordsville; Mrs. Helen Parks of Darlington; Mrs. Virginia Peacock of Crawfordsville and Robert Marshall of New Ross; his father and mother; Mr. and Mrs. Lewis Emmert; two brothers, Elba Emmert of Waveland and Rev. Orville Emmert of Bedford; two sisters, Mrs. Eula Bollman of New Market and Mrs. Stella Finch of Lebanon and 4 grandchildren. The funeral services will be conducted at Profitt & Sons Funeral Home Tuesday afternoon at 3:30. Burial at Masonic Cemetery. James Elby EMMERT, 87, native of near Jamestown and retired farmer in the Waveland area died at 2:55 a.m. June 4, 1963 at his residence in Waveland; had been seriously ill for [the]past two months. Mr. Emmert was born near Jamestown Jan 20, 1876, son of Louis A. and Martha Dale Emmert. He was married to Ada Bollman Aug 8, 1906 who survives. Mr. Emmert was a member of Waveland Methodist Church and active in church work. He also was a member of Waveland Lions Club. He was a farmer in Waveland for 50 years before retiring to his residence in Waveland. Others surviving, son Paul; grandson Dean; brother Rev. Arvel Emmert and two sisters, Mrs. Eula Bollman and Mrs. Stella Pinch. He was preceded in death by three brothers. Funeral services were held at 2:30 p.m. Thursday in Machledt & Servies Funeral Home, Waveland, Rev. John Servies officiated with Rev. Fred Dean assisting. Burial in Masonic Cemetery, Crawfordsville. Mrs. Emmert's maiden name was Klein. She was born 2 September 1851, and was therefore, 64 years and 20 days of age. She was one of a large family, three brothers and four sisters of which survive. In 1873 she was married to William Emmert and to this union three sons and three daughters were born. The husband and the following named children survive Charles, David, and Laura Whiteman, Mrs. Ella Shuey, of Kalamazoo, Michigan, Bessie Brown, of Upland and Austin, of Advance. Mrs. Emmert was a consistent member of the Mt. Zion Methodist Church and lived fully in its faith in teachings. The funeral services was held at Mount Zion Friday afternoon in charge of Rev. J. A. Rhodes and Lee Myers. Burial was in Mount Zion Cemetery. Mrs. S. T. Enfield, who lived near Lincoln, dies at home in Iola. Mrs. S. T. Enfield, 81 years old, died at her home, 401 South Jefferson street, at 7:07 o'clock this morning after a serious illness of only a week. Mrs. Enfield lived in Allen county from 1899 until her death. Having lived in the neighborhood of Abraham Lincoln during her girlhood, Mrs. Enfield could recall having seen the martyred president several times. Christened Lieutisha A. Wilcox, Mrs. Enfield was born in Boone County, Indiana, April 23, 1847. With her parents she moved to Illinois and later to Boone County, Iowa, where she met S. T. Enfield. They were married October 16th, 1870, at Boone, Iowa, living there until 1899 at which time they settled on a farm southwest of Iola. In 1910, the Enfield family moved to Iola. Mr. Enfield died in March 1918. One son, A. R. Enfield, city attorney, sailed for France the day of his father's death and did not receive news of the event until nearly two months later. Survivors include: four sons, William H., north of Iola; Arthur C., an employee of the Iola Ice company; Charles M., 401 South Jefferson, and A. Ray, 617 East Broadway; four daughters, Mrs. Cora Burns, 401 South Jefferson; Mrs. D. A. Wisecup, Longmont, Colo., and Mrs. E. L. Sloan and Mrs. Arden W. Williams both of Kennesburg, Colo.; two brothers, J. E. Wilcox and W. H. Wilcox, both of Cooper, Ia. ; a sister, Mrs. Mattie Bundy, Boone, Ia; eighteen grandchildren and four great grandchildren. One son, Clifford Enfield died at the age of 12. George D. Evans, 81, Lebanon, Route 4, died at his home near Max Sunday. He had lived his entire life in Boone county, and was a retired farmer. He had been in poor health for about a year and was seriously ill one week with a heart attack. Born in the Fairview community, December 7, 1875, he was the son of Israel G. and Milda Ann Quick Evans. He was married on November 18, 1909, in Lebanon to Stella E. Jackson, also a Boone county native, who survives. Mr. Evans was a member of the Fairview Congregational church in Boone county. Surviving besides the widow are one son, Arthur Evans, Route 4; a daughter, Mrs. Nile Bressler, 1021 West Main Street; a sister, Mrs. Lawrence Inman of Noblesville, and two grandchildren. Three brothers are deceased. Funeral services will be held at the Myers mortuary on Tuesday at 2 p.m. Rev. Wilbur B. Sharp will officiate. Burial will be in Old Union cemetery, near Jamestown. Friends may call at the mortuary here anytime. Israel G. Evans, who has been sick for the past three months with typhoid fever and a complication of ailments, died yesterday morning at 2:30 o'clock. He was 52 years, and 3 days old, and had lived at and near his present home, 7 miles northeast of Lebanon, for the past thirty years but was born in Putnam county. One brother, who lives in Montgomery county, one sister in Missouri, his wife and six children, four sons and two daughters, survive him. The children are all at home, single, three of whom have not become of age. The funeral was preached today (Thursday) at 10 o'clock by the Rev. C. A. Brown at Fairview church, after which the remains will be buried at the Mt. Run graveyard. Houser & Hogshire undertakers. Jasper FALL, who left his home near Rees' Mills about 5 weeks ago for Oklahoma City, died last week of Typhoid Fever. His body was brought back to his old home for burial. Thorntown – Mrs. William FALL, 63, a resident of this community her entire life died at the home of her daughter in Indianapolis Friday night at 9:45 o’clock following a short illness. Hardening of the arteries caused her death. Mrs. Fall was born in Boone County Jan 28, 1870. She was united in marriage to William Fall on March 17, 1890. Mr. Fall preceded her in death last Feb 23. Mrs. Fall was a member of Zionsville Christian Church and was an active church worker throughout her life. Mrs. Fall is survived by 5 daughters: Mrs. Lucile Adler of Indianapolis at whose home she died; Mrs. Ruth Perkins of Chicago; Mrs. Ruby Tamm of near Lebanon; Mrs. Mary Culver and Mrs. Aletha Taylor; 3 sons, Raymond Fall of Toledo, Oh; Ralph of Thorntown and Russell of Indianapolis; two brothers, William Lane of Advance and Martin Lane of Lafayette and one sister, Mrs. John Jones of Lebanon. Funeral services will be held at Thorntown Christian Church Sunday afternoon at 2 and will be in charge of Rev. Walker of Zionsville. Interment will take place at Maple Lawn cemetery. Sarah J., daughter of George and Elizabeth FAUGHT, was born near Danville, Indiana 10 January 1833. Her parents were pioneer settlers of Hendricks County and few people have lived longer in this section of the state than the subject of this sketch. On 20 August 1855, she was married to Robert M. ROSS, at Pittsboro and moved to Linden. After a married life of seven years the union was broken by the husband's death, leaving one son, G. W. ROSS, at whose home her last days were spent. In November 1869 she was married to Wm. MELTON, who at the advanced age of 93 years, yet survives. She united with the Christian church at Pittsboro in early life under the preaching of the well-known Thomas LOCKHART. Upon removing to Jamestown she affiliated with the congregation at that place under the ministry of J. M. CANFIELD and remained a member till life's close. Her death occurred 10 February 1906, having reached the age of 73 years and one month. There remain an aged husband, one son, two sisters, and a number of other relatives together with a large circle of friends to mourn her death. Funeral services were held at the Christian church Monday afternoon conducted by Rev. W. H. NEWLIN. Burial at the Odd Fellows cemetery. Mrs. Bettie Fausset, 78, a native of this county born May 28, 1874, expired early this morning at her home in Kirklin where she had resided for the past five years. Arrangements for the funeral are in charge of the Hinshaw funeral home at Sheridan where friends may call for complete information. Mrs. Fausset was a daughter of Osborn and Martha (Ballard) Graves and was first married to Ulysses Grant Smith who is deceased. Her second marriage was to Charles Fausset who died in 1944. She was a resident of Boone county for many years residing near Terhune. Survivors include a daughter by the first marriage, Mrs. Maurine Wallace, of San Antonio, Tex. ; two brothers, Joe Graves of Jamestown and Everett Graves of Ladoga; two stepchildren, Leland Fausset of Kirklin, and Mrs. Florence Ferguson of Carmel; six grandchildren and 10 great-grandchildren. Taylor Fenton, a former resident of Lebanon, died yesterday in a Chicago hospital, of diabetes. Mr. Fenton was employed in Charles Rushton's drug store here at one time and later moved to Elkhart when Mr. Rushton located there. Upon Mr. Rushton's death Mr. Fenton became proprietor of the store at Elkhart. Mr. Fenton was the son of W. T. Fenton residing north of Lebanon. He was also a brother of Arthur Fenton, who is now located in the South. The father of the deceased and also Frank Caldwell and William Fenton left yesterday for Chicago but arrived some time after Taylor's death. Arthur Fenton was also notified and is on his way north. The deceased was about twenty-seven years of age and leaves a widow and one child. The funeral will be held tomorrow at 2 p.m. at Valparaiso the former home of Mrs. Fenton. W. S. Ritchie and wife left today to attend the funeral. Note: "This obituary is in my possession. I found it in a book owned by my grandfather, Arthur Millican Fenton, who named his oldest child William Taylor Fenton after his deceased brother." Leander M. Finch Died Suddenly Thursday Evening at His Home on Chicago Street. Leander M. Finch dropped dead in the yard at his home 919 West Chicago Street Thursday evening about 5:30 o'clock. He had been in poor health for six months with dropsy of the heart. Mr. Finch was born in Union county September 22, 1848. He was united in marriage to Carrie G. Gardner, at Spiceland, Henry county June 13, 1877. To this union five children were born. A wife and four children survive him. The children surviving are: Blanch E. Threlkeld, Rosa S. Smith, Mable R. Campbell, and Wallace M. Finch. Mr. Finch was a member of the First Christian church at Advance. He was also a member of the Knights of Pythias lodge at the same place. The funeral will be held at the First Christian Church at 2 p.m. Saturday. Buried at Oak Hill cemetery. Lebanon Lodge No. 45, K of P will have charge of the services. FISH -- At Springfield, Illinois, on the 18th of September, 1866, Joseph FISH and Lucinda FISH, his wife, the former in his 79th year of his age, and the latter in the 64th year of her age. Mr. And Mrs. FISH emigrated many years ago from the state of New York to Lebanon, (Boone County) Indiana, where continued to live or in it’s immediate vicinity, until just two weeks prior to their death. In early life they made a profession of religion and united with the Baptist Church of which they remained consistent members until death. A few months ago they sold their farm near __ with a view of going to Illinois to ___ their daughter. They left here on ___oy __ of September for Mantoon, Illinois __n thence on the 14th to Springfield __ morning the 16th, he had a sud__ (sudden?) __ of chronic diarrhea which lasted __ when his soul took its flight to __land. At the time Mrs. FISH ___ be in as good health as usual, __urs the hand of affliction was lain ___ her by the same or similar dis__ (disease?) __ the same day called her to her __ me. Mysterious is the providence __ calling this aged pair from Iabor [sic] __. They leave a son and a daughter, __ith many acquaintances, to morn __ but they mourn not: as those who __pe. Their remains lie interred in __ Ridge cemetery where lies the __ lamented LINCOLN. And here ___ sleeping nation of earth __ trump of God when this mortal __ immortality. A.H.D. Note: This article had areas unable to read. Word has been received of the death of Mrs. Sarah A. FLANINGAN, 77 a former resident of Thorntown and Lebanon, which occurred at Seattle, Washington Thursday. Mrs. Flaningan suffered a fractured hip last Saturday in a fall and pneumonia developed which resulted in her death. Mrs. Flaningan, left Boone Co. five years ago with her daughter, Miss Iva Flaningan, with whom she resided going to Indianapolis. After two years in that city they went to Seattle, Washington. Mrs. Flaningan, who was the wife of the late Joseph Flaningan is survived by a son, Arch a daughter, Miss Iva and two grandchildren, Martha and Arch, Jr. of Seattle; a sister, Mrs. William Hampton, Darlington; 3 brothers, George Faust of Darlington and Charles and Milton Flanigan, of Chicago and two stepdaughters, Mrs. Lydia Hampton of Thorntown and Mrs. J. N. Bratton of Advance. She also leaves a number of relatives and many friends in this county. Her husband passed away 17 years ago. Funeral services will be held in Seattle, Washington Saturday and burial will be there. Mrs. Sarah FLEECE was the second child in a family of ten children, born to William and Phoebe OWENS in Boyle County, Kentucky, 27 August 1823, and died at her home in Jamestown, Indiana, 21 August 1905. She would have been 82 years old Saturday. She was married to Woodson BOLING in 1842 in Perrysville, Kentucky. To this union were born two children, one dying early in childhood, and the other, Woodson Boiling Jr., resides in Nevada. Woodson Boling died in Canton, Missouri in 1850. In 1853 she was married to Jeremiah B. PECK of Perrysville, Kentucky. To this union were born six children, all of whom are dead, save Katie PECK ROSS, the youngest child. J.B. PECK died in North Salem, Indiana in 1871. In 1876 she was married to John FLEECE who died in 1884. While having been married three times, yet she spent thirty years in widowhood, and has seen life with its shadows and sunshine in all of its phases. She joined the Methodist church in early life and became a member of the Christian church 32 years ago. She leaves one daughter, one son, one sister, three brothers and a host of friends that will miss her. Hers was a pure conscious, christian [sic] life, lived without display, and her faith in God's promises was her comfort and solace in her declining years. May we bid her adieu, not in sorrow, but I with that faith that will enable us to see her at home and at rest in that house of many mansions. Funeral services were held at the Christian church Wednesday morning at 10:30 o'clock, conducted by Rev. W. H. NEWLIN Purity Lodge, D. of R., of which the deceased was a member, furnished a large pillow of flowers but not by a request of relatives did not perform their burial ceremony. Burial at Jamestown I.O.O.F. cemetery. Carl G. FLETCHER, 80, farmer and well known musician died at 2 a.m. Sunday at the home of his son, Kenneth in Lebanon where he had lived the past 3 months. Born in Montgomery County near Waynetown Feb 13, 1878. He was the son of Granville and Minerva Work Fletcher. He married Lola Jarvis Nov 9, 1908 in Rockville. She survives. He was a resident at Waveland before moving to Darlington in 1911. Well-known in the state as a director of orchestras and bands he was graduated from the Chicago Conservatory of Music. Survivors in addition to the widow and son, include a daughter, Mrs. Penson Larrick of Lebanon; a sister, Anna Peveler of Wingate; four grandchildren and one great grandchild. He was preceded in death by four brothers and two sisters. Funeral services were conducted Tuesday at 11 a.m. at the Bright Funeral Home in Darlington with the Rev. AL Vermillion officiating, assisted by the Rev. Louis Balsley. Burial in Green Lawn Cemetery, Darlington. Amos B. Foote died July 22, 1876 at his residence four miles north of this place . He was called away suddenly. His age was sixty-nine years. He came from Warren Co OH last spring. He leaves a wife and eleven children, seven boys and four girls, now living, one daughter, Sarah Emaline Foote West, a married lady, having died a year ago, which made twelve children in all. He was a quiet unassuming man, and an active member of the Christian Church, besides, he was a man of nice perceptions, and his knowledge of men and things, together with the leading issues of the day, whether of a national or a secular character, was seldom excelled, not even by those of a professional character. He had the love and respect of all who knew him. It may be said of him that his work is done, and well done, and he is now gone to his final home and to fill a mission in another sphere of a higher and more elevated character than the toils of earth. Note: Death date on gravestone shows, July 26, 1876, 78y, 7m, 4d. Buried at Little Eagle Cemetery, Hamilton Co IN. His grave is just southeast of the church. His inscription is on South side of stone while Elizabeth's is on same stone on north side. See burial information. Frank FREEMAN, well known farmer of near Jamestown passed away at Culver Hospital 11:15 o’clock Christmas morning after an illness of one month. Complications caused his death. The deceased was born in Howard County near Kokomo, on Feb 2, 1876, son of Nathan and Cynthia Freeman. He was a member of the Christian Church. He was in the real estate business in this city before he moved to Jamestown. Surviving are the widow and one son, Frank, Jr. at home; a son by a former marriage, Clifford Freeman of Indianapolis; one sister, Mrs. Zella Delashmit of Indianapolis and one brother, Claude Freeman of Westfield. Funeral services will be held at the home Sunday afternoon at 1:30 o’clock with Rev. George Leonard of Indianapolis in charge. Burial will be in Ladoga Cemetery. Martin O. Funkhouser, 88 years old, retired farmer, died yesterday at his home here. A native of Boone County, Mr. Funkhouser had engaged in farming in Boone County, southern Indiana and Ohio. He lived in Crawfordsville since 1937. He was a member of the Fayette Christian Church. Survivors include five sons, Curtis Funkhouser of Decatur, Ill., Harvey Funkhouser of Bell, Cal., Joe Funkhouser of Connersville, Gordon Funkhouser of Monterey Park, Cal., and Allen Funkhouser of Coulumbus, Ohio; two daughters, Mrs. Fern Bilyeu of Salem, Ore., and Miss Donna Funkhouser of Crawfordsville; nine grandchildren and 12 great-grandchildren. Funeral services will be held at 2 p.m. Saturday in the Hunt and Son Funeral Home. Burial will be at Mount Taber Cemetery in Fayette, Boone County. May 16, 1958. Reed Funkhouser, well known resident and farmer of Perry Township died last Friday at the home of his daughter, Mrs. Bernice Tackett near Fayette. Reed, was born September 14, 1867 in Boone County the son of Gideon and Mary Ann Slagle Funkhouser. On November 9, 1887 he married Rachel Frances Turpin at her parent's home near Fayette. His wife died in 1919. He was the father of seven children; Zella Edith Funkhouser, Bessie Blanche Funkhouser Everett, Tennis Funkhouser, Gertrude Funkhouser Claus, Gideon Thurston Funkhouser, Bernice Estella Funkhouser Tackett, and Paul Turpin Funkhouser. He had one brother, Dudley, and five sisters; Josephine Funkhouser Hanna, Indiana Funkhouser Walker, Cleo Funkhouser Giles, Jennie Funkhouser Dixon and Alverda Mae Funkhouser Dixon. Fureral services were held Monday with Rev. R. Williams pastor of the Pittsboro Baptist Church officiating. Burial was made in the Howard Cemetery, east of Fayette. Note: "The obituary was from family history and "The Lebanon Reporter," February 10, 1939."